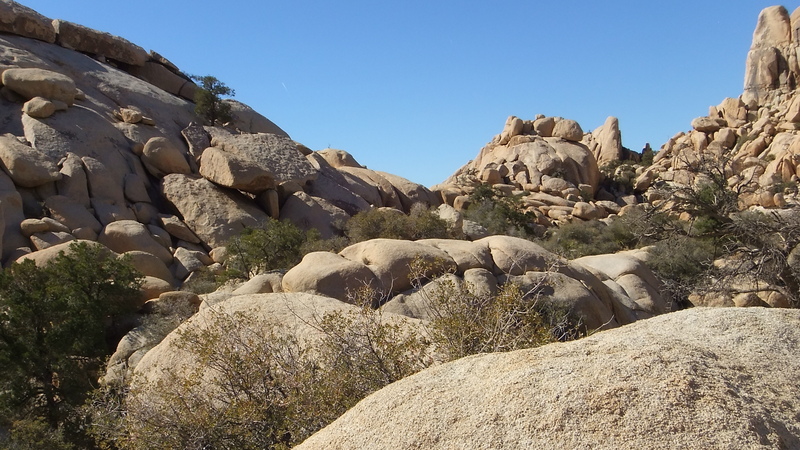 LEAVING ASTRO DOMES, the wash trends north. 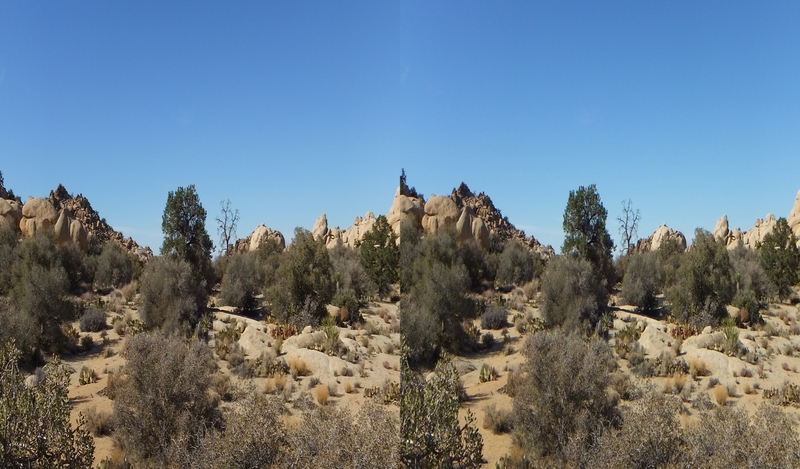 As mentioned in the introductory page, do not let this jumbled landscape deceive, there are open spaces aplenty throughout the valley’s gentle upslope. 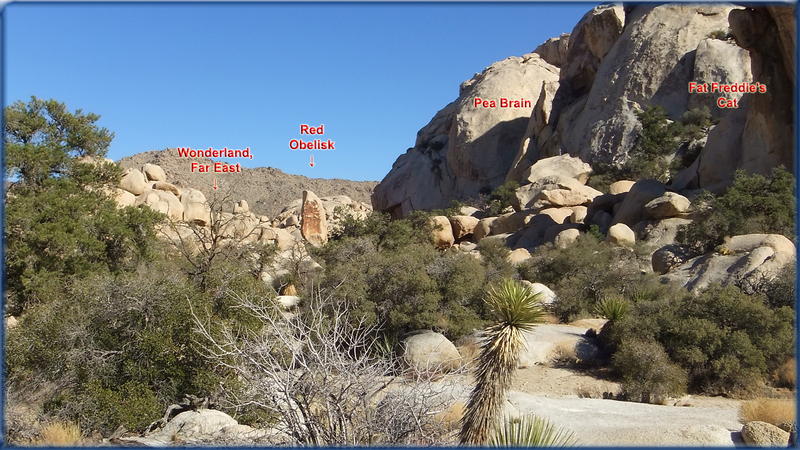 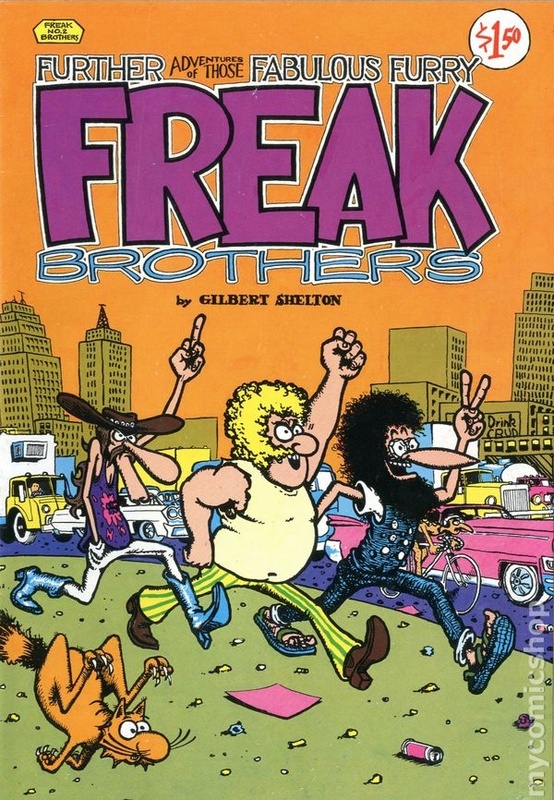 In a side canyon (Wonderland Wash, which drains the area east of Freak Bros.), facing north and west can be found the photogenic Red Obelisk, with two fairly large domes beside it known as Fat Freddie’s Cat and Pea Brain. 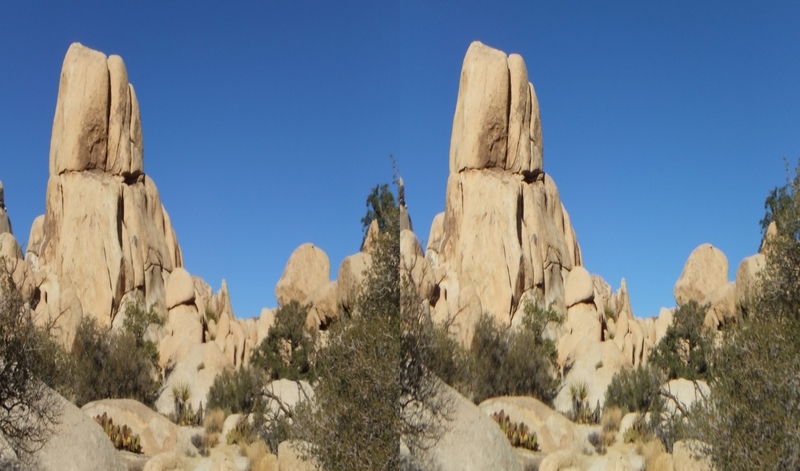 Wonderland Wash exits from the east and divides the rock climbing areas. 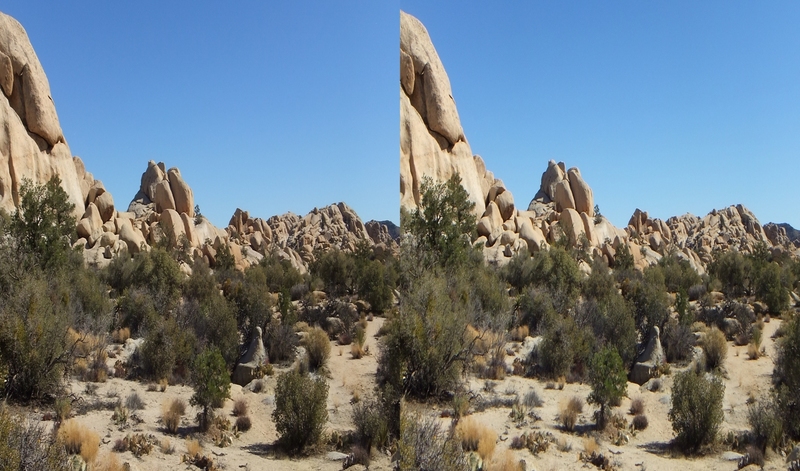 Beyond Wonderland Valley begins the Central Wonderland (see next section) including three tall formations (left-to-right): Duckwaddle Domes, Disneyland Dome, and Thrutcher Dome, and Vicinity, as it is rudely called. 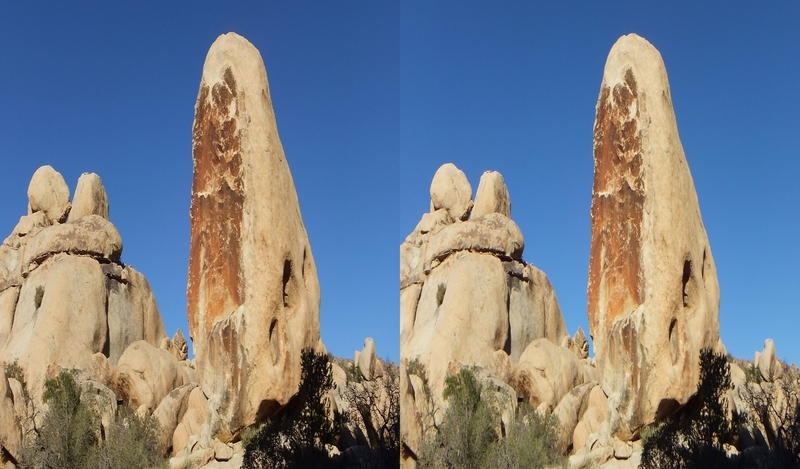 I am sure Mr. or Mrs. Thrutcher would deeply object to “Vicinity” playing second fiddle when Thrutcher is an imposing feature in and by itself. 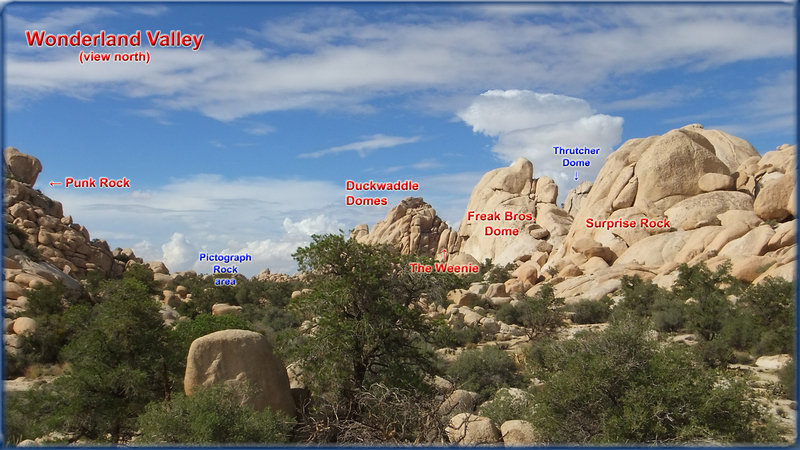 The Duckwaddle area is covered in a separate Gallery, described under the heading Central 1, on the Wonderland Valley Main Index page. 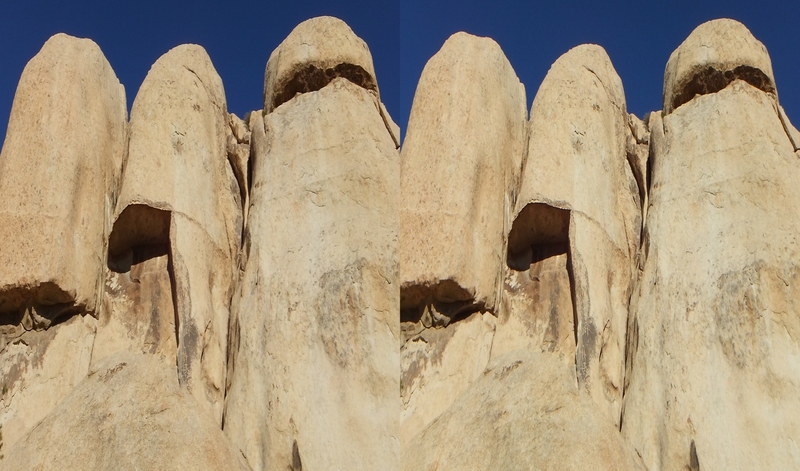 End of Galleries. 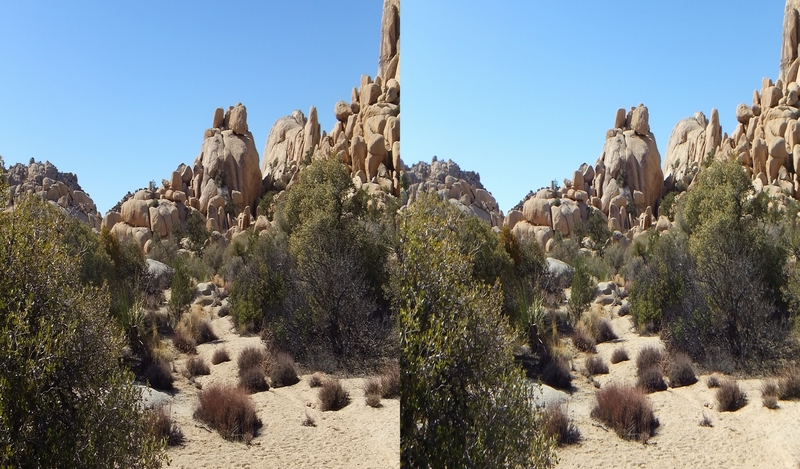 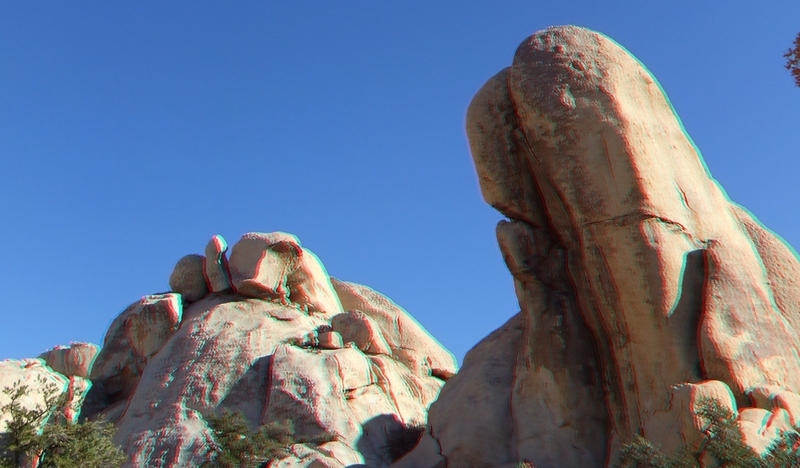 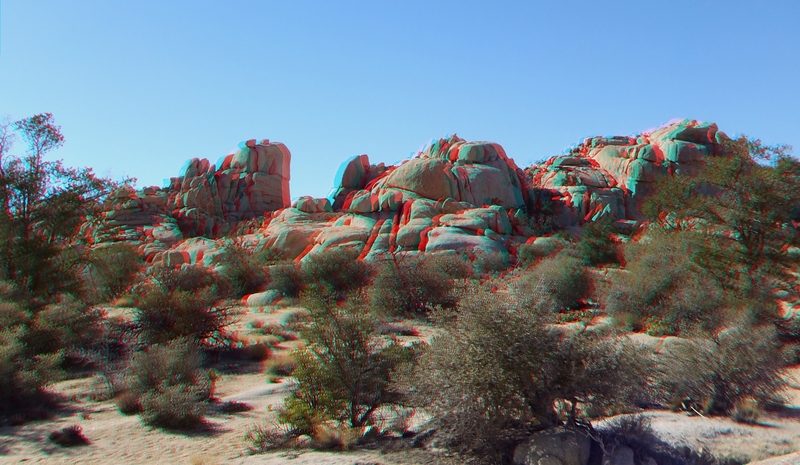 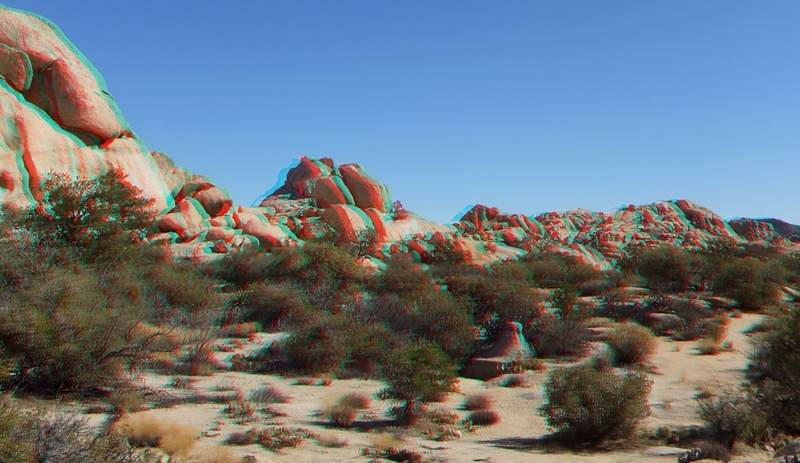 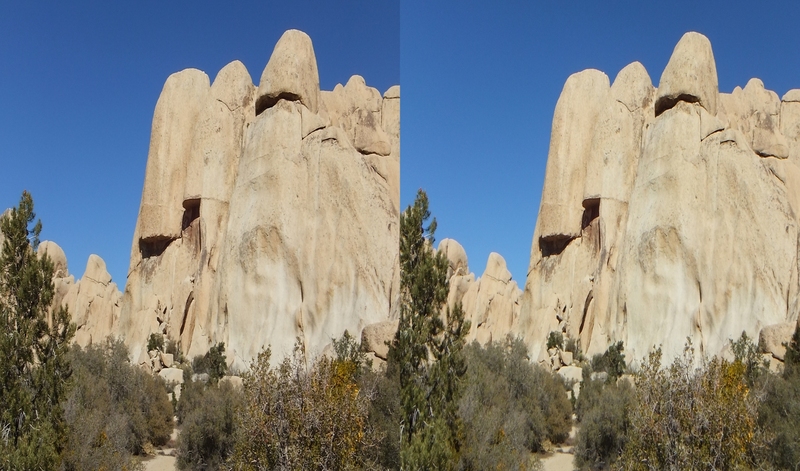 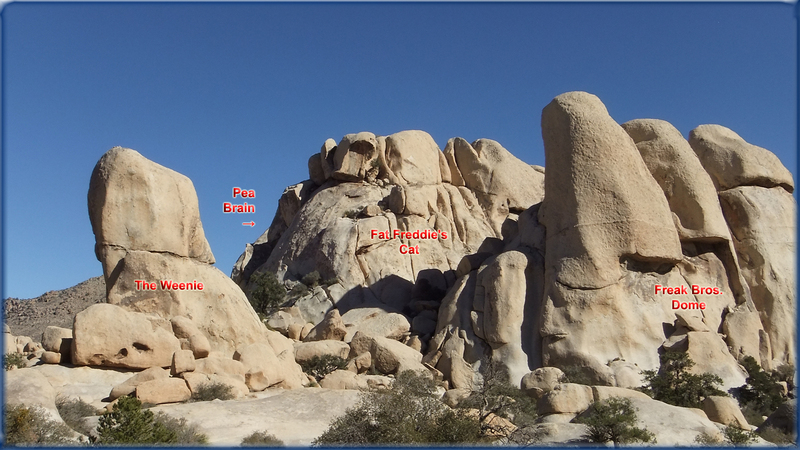 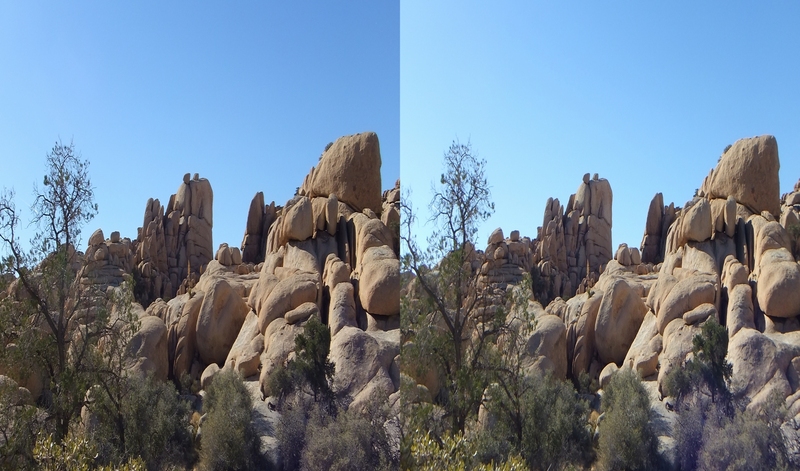 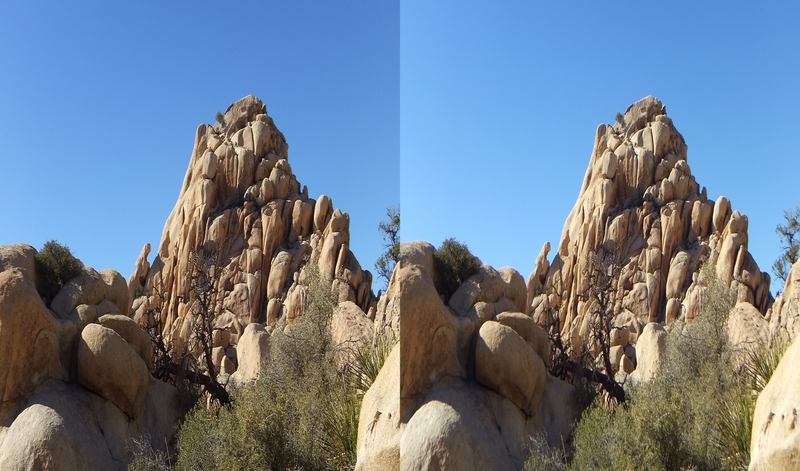 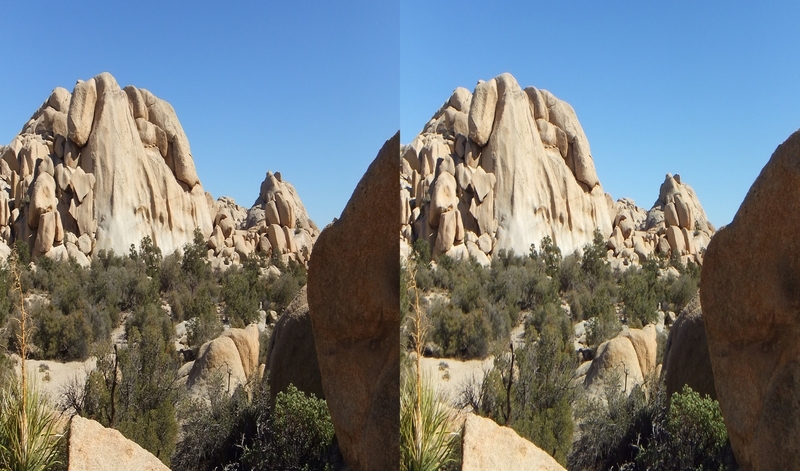 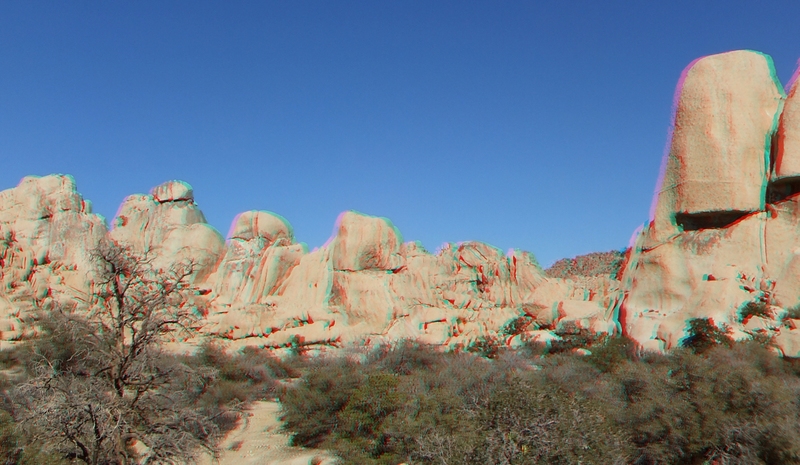 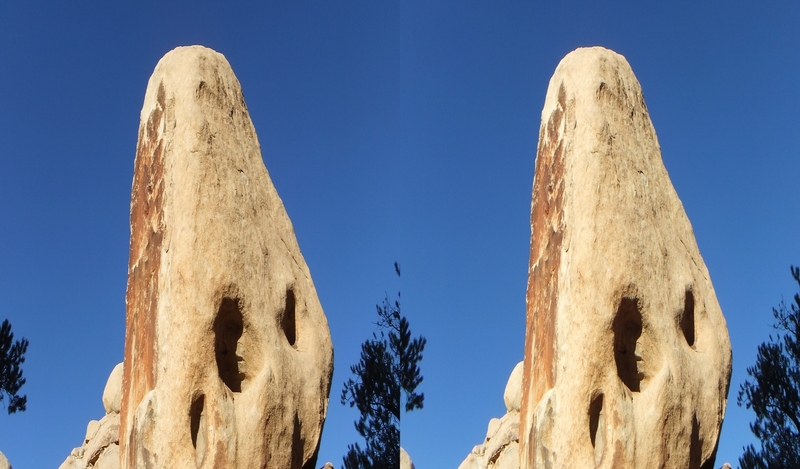 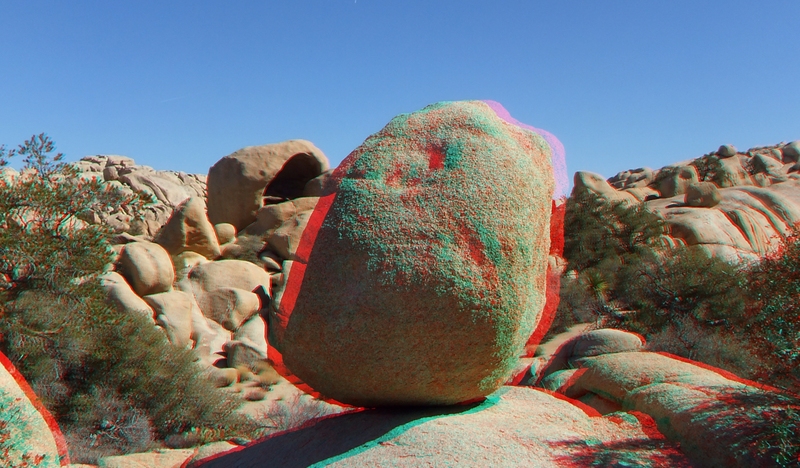 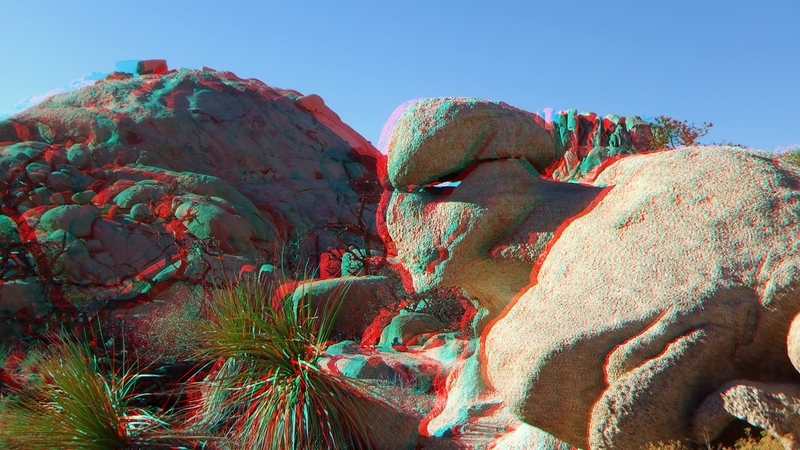 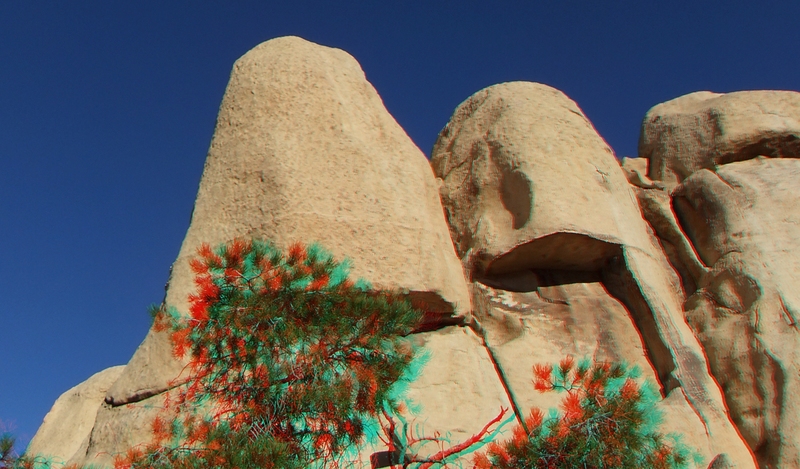 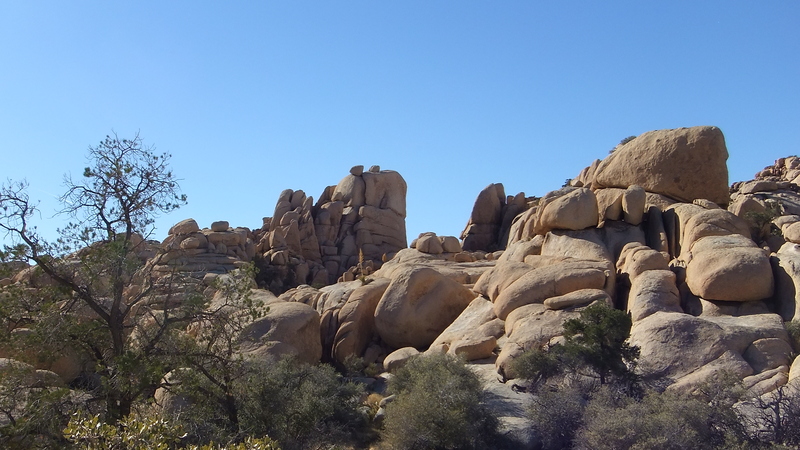 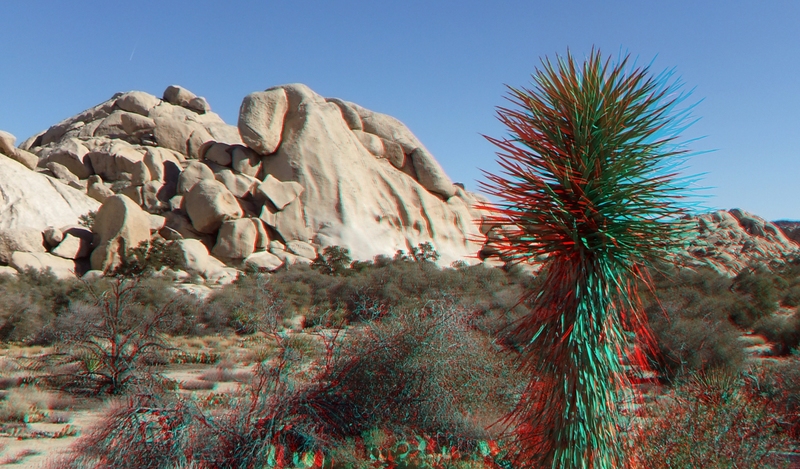 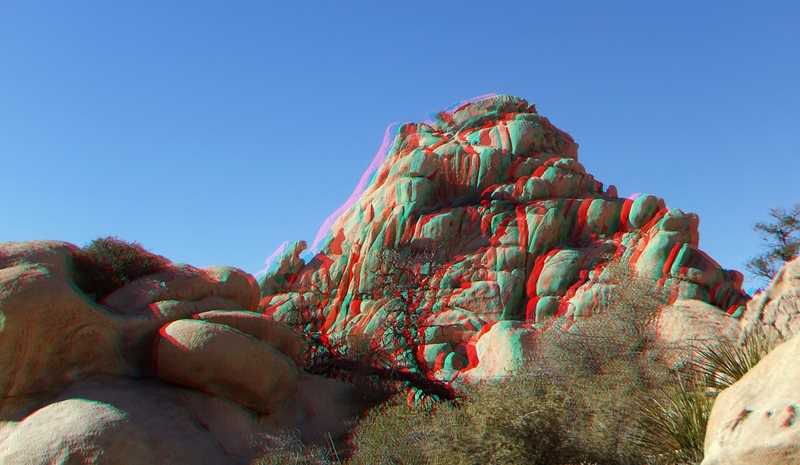 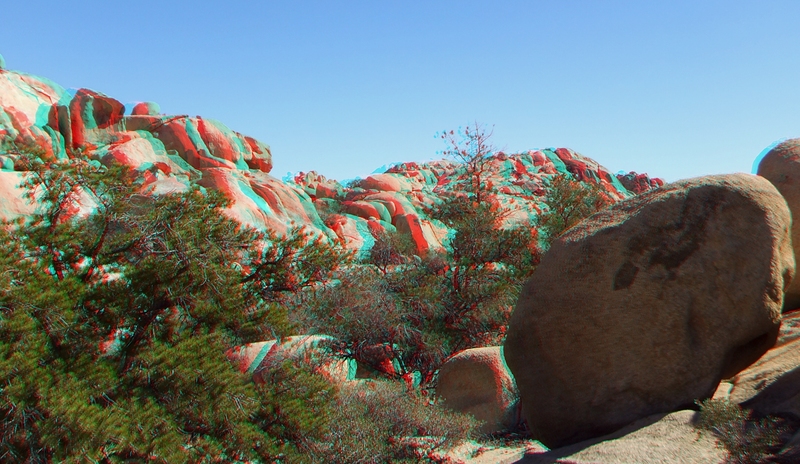 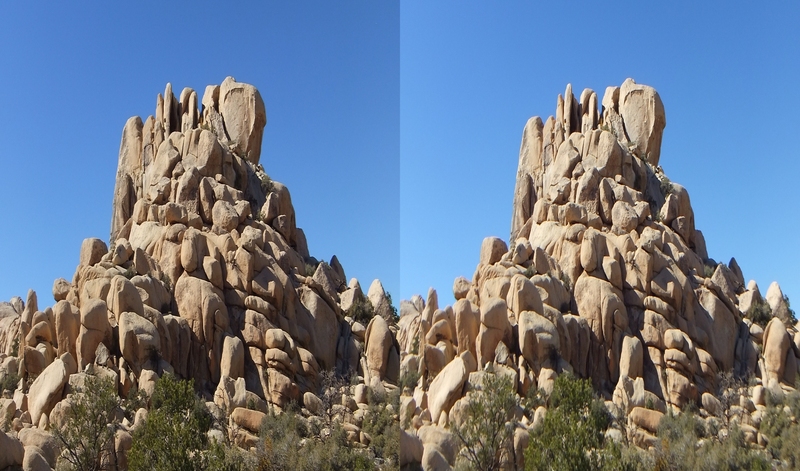 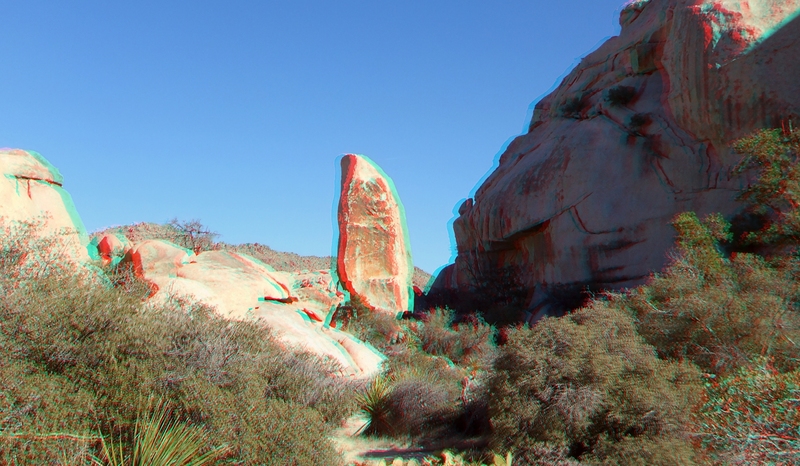 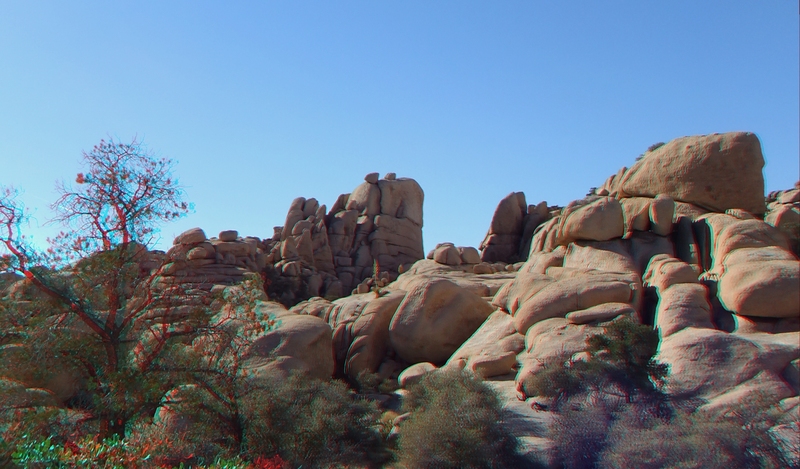 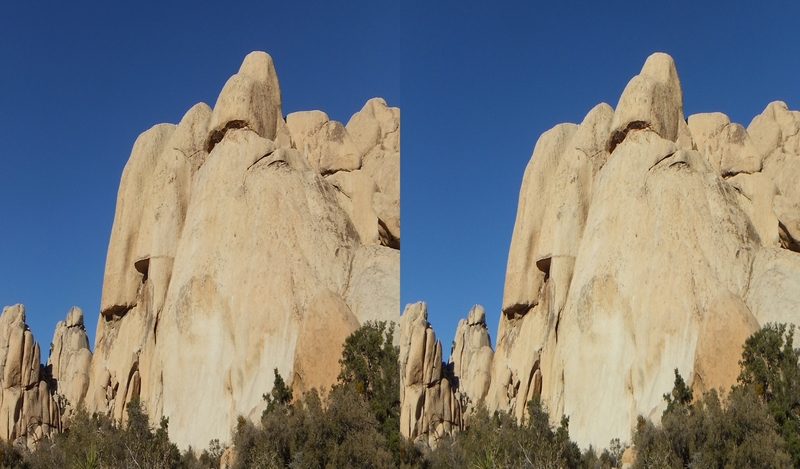 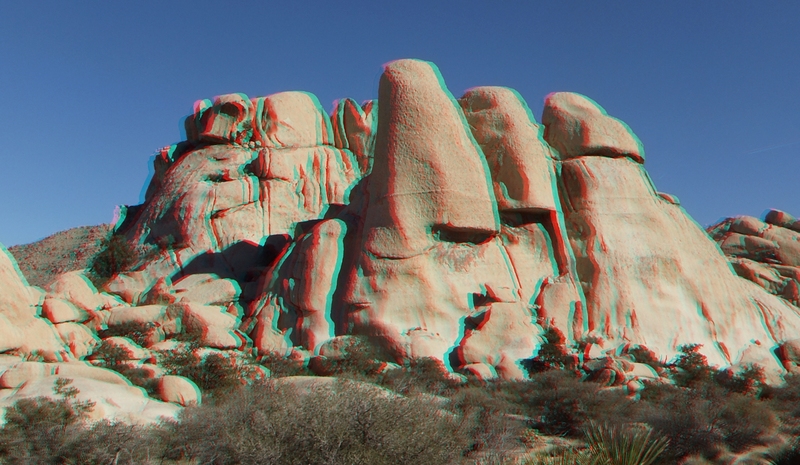 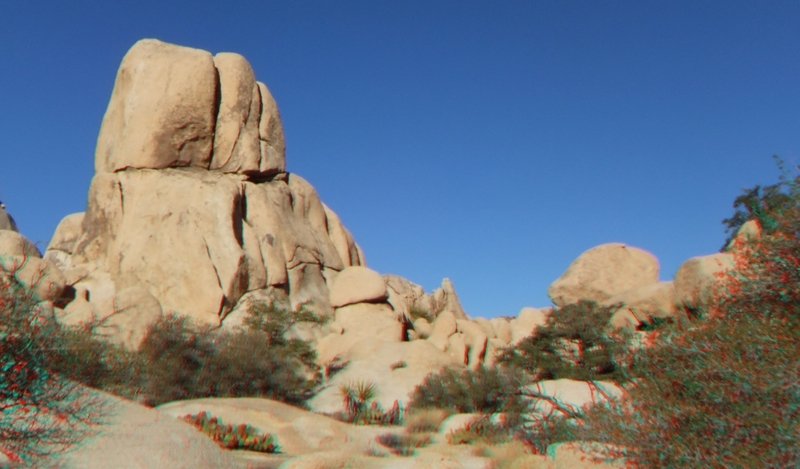 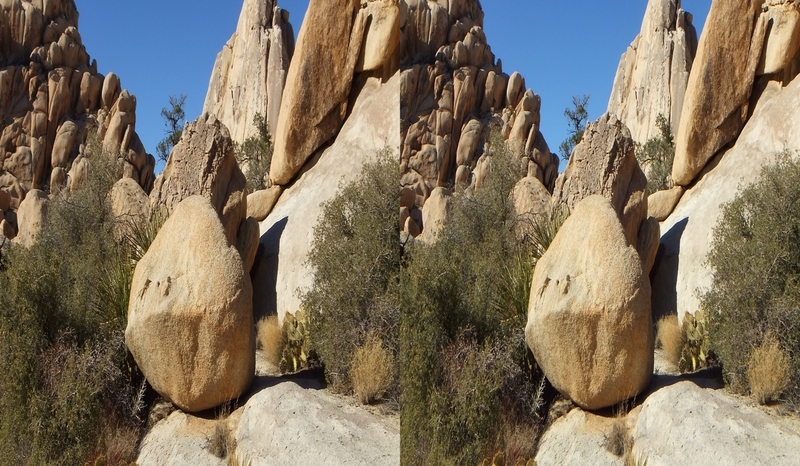 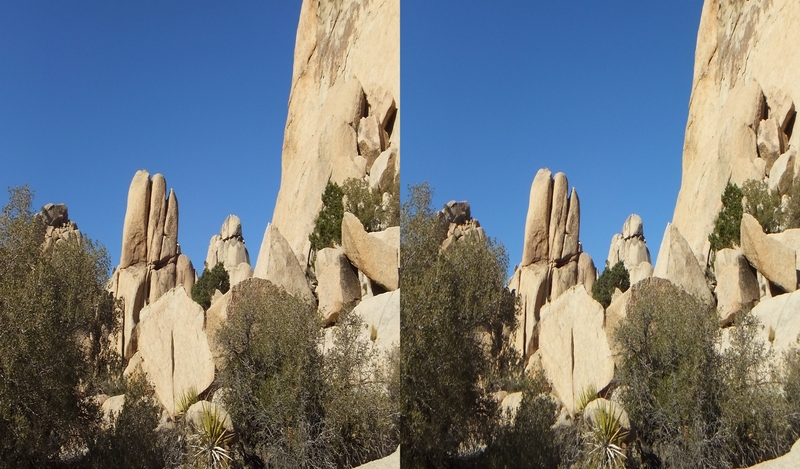 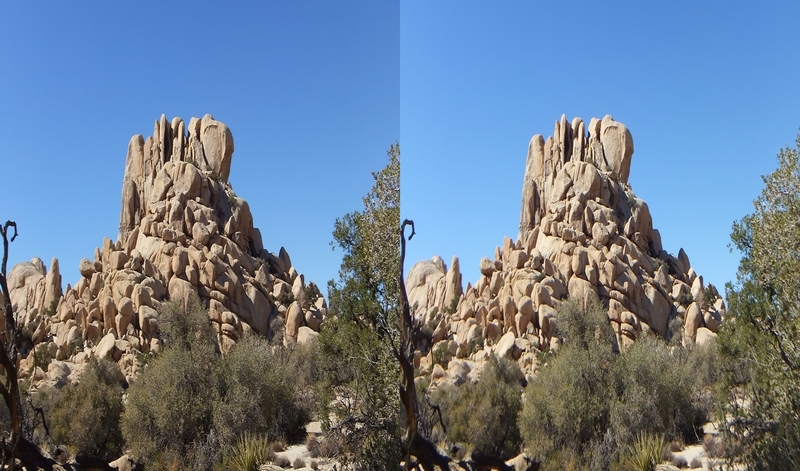 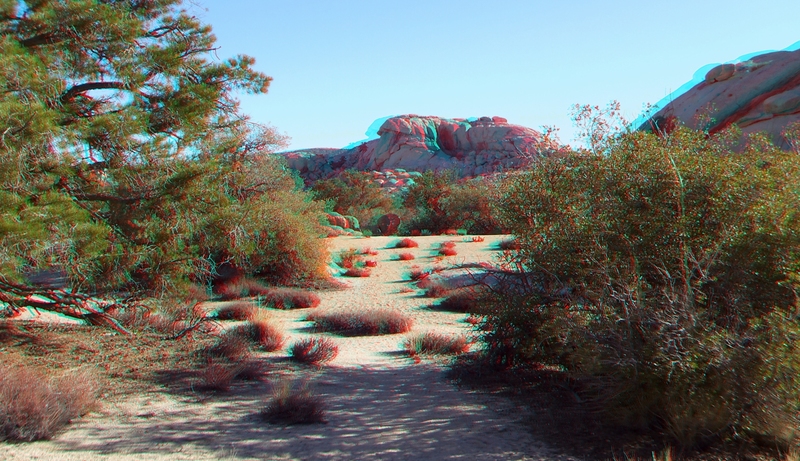 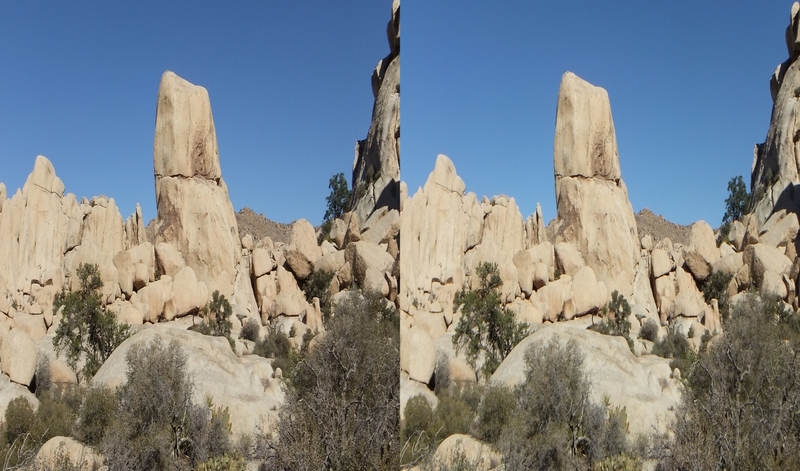 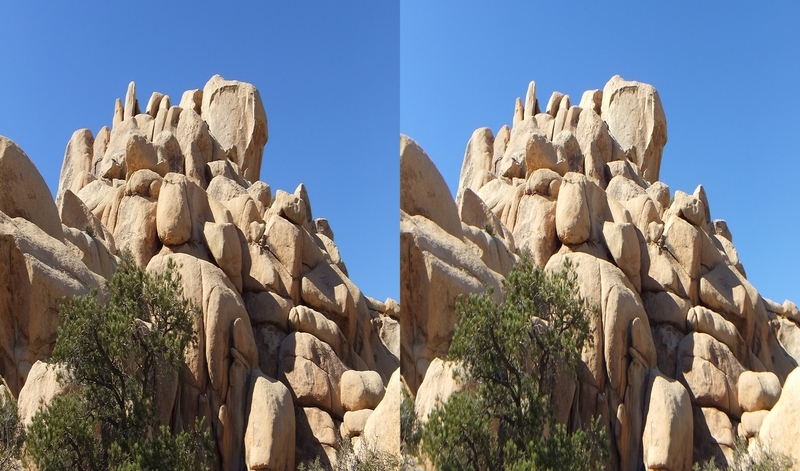 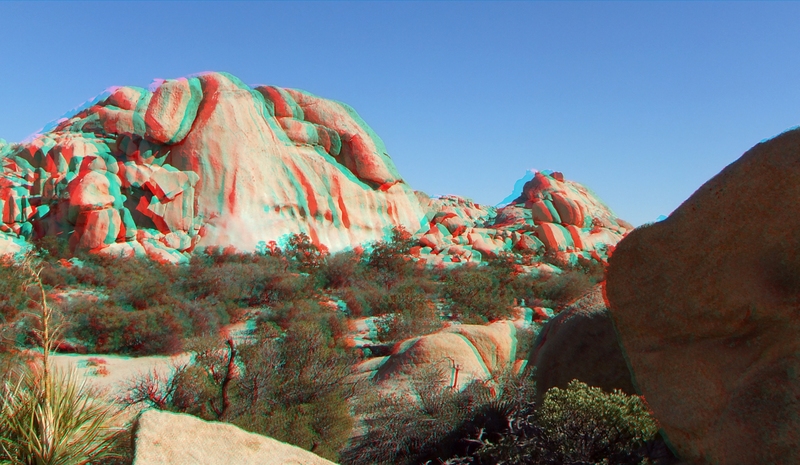 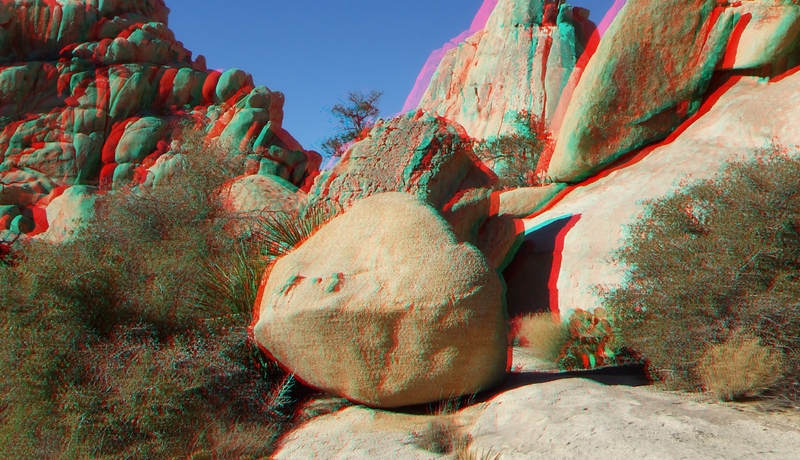 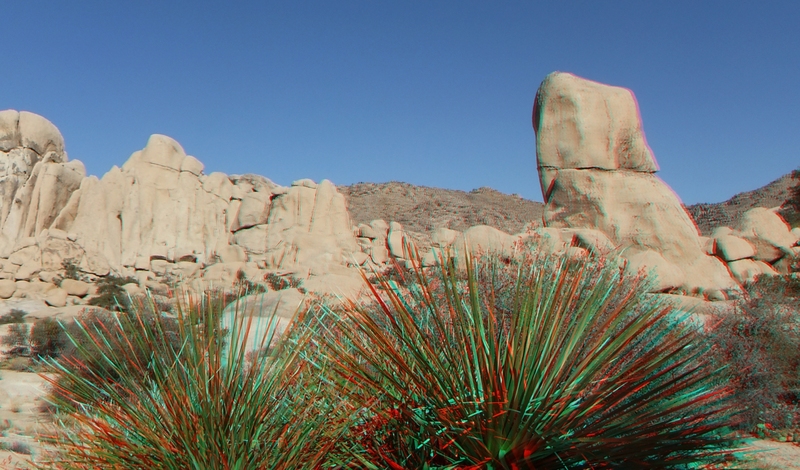 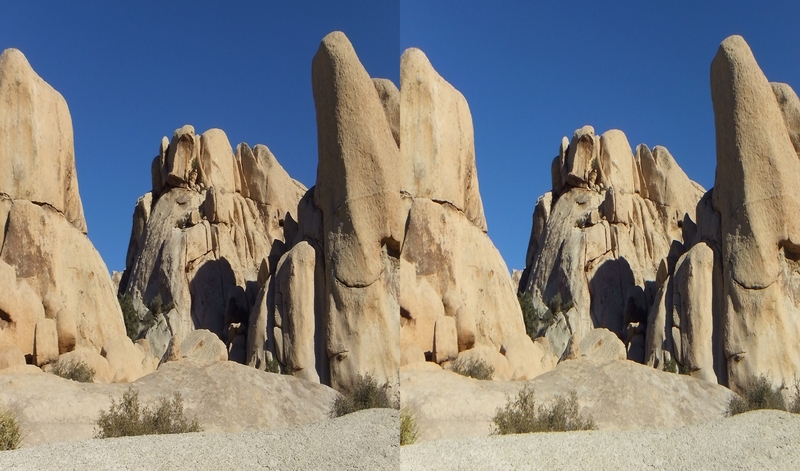 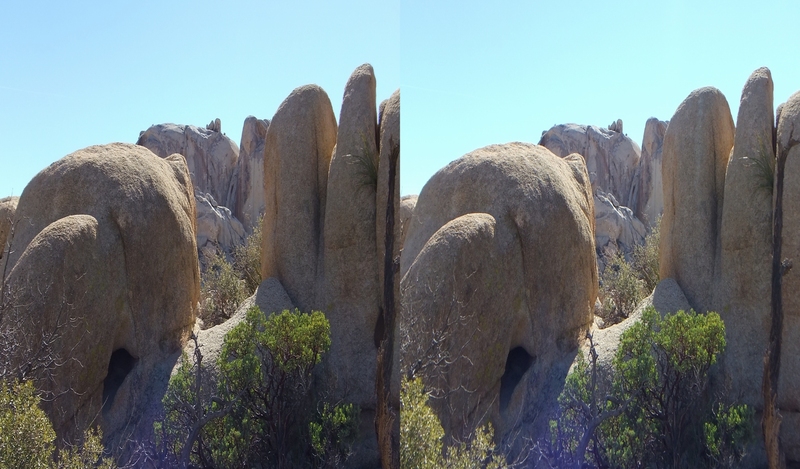 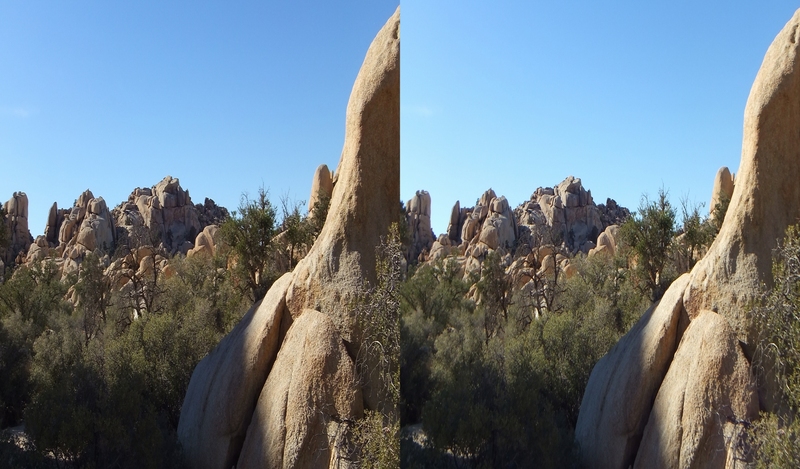 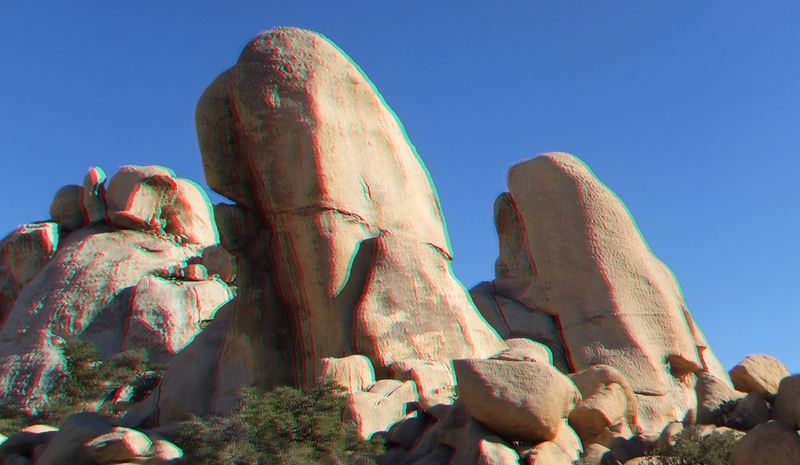 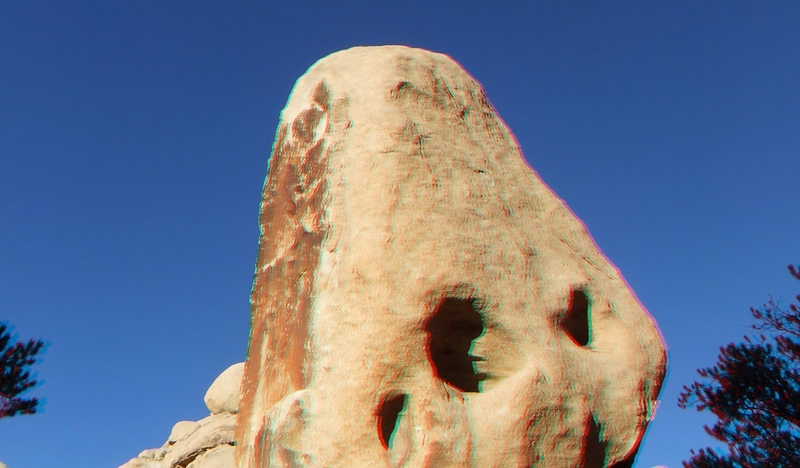 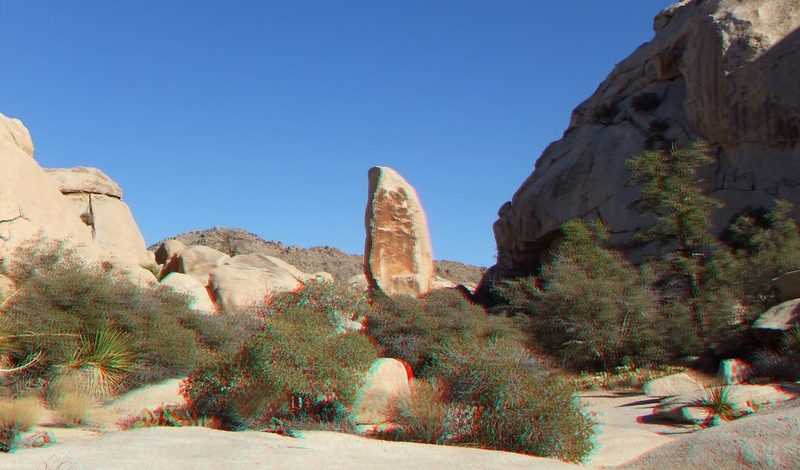 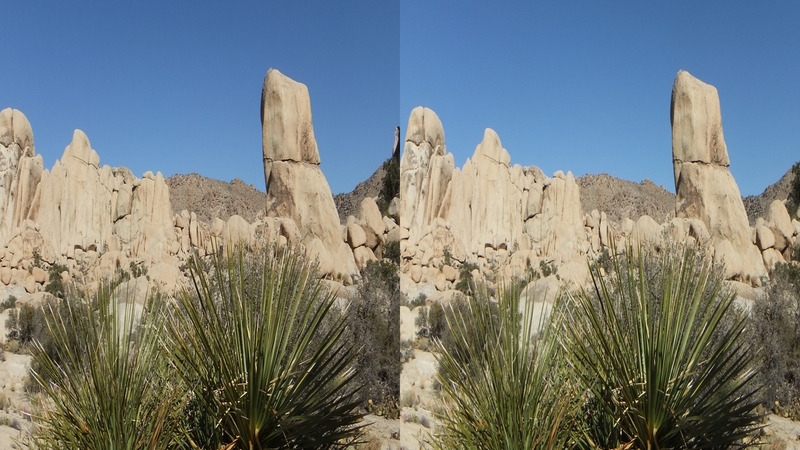 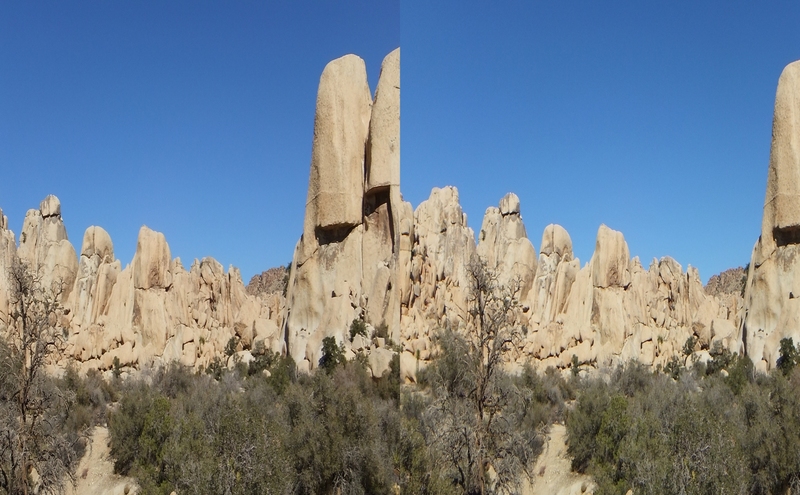 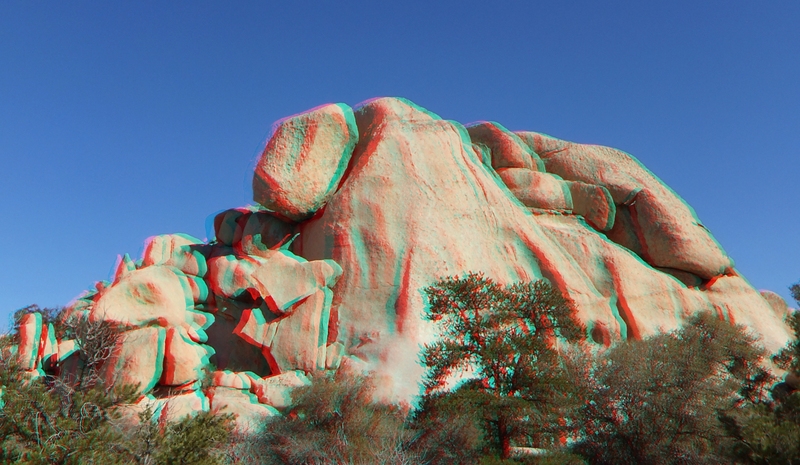 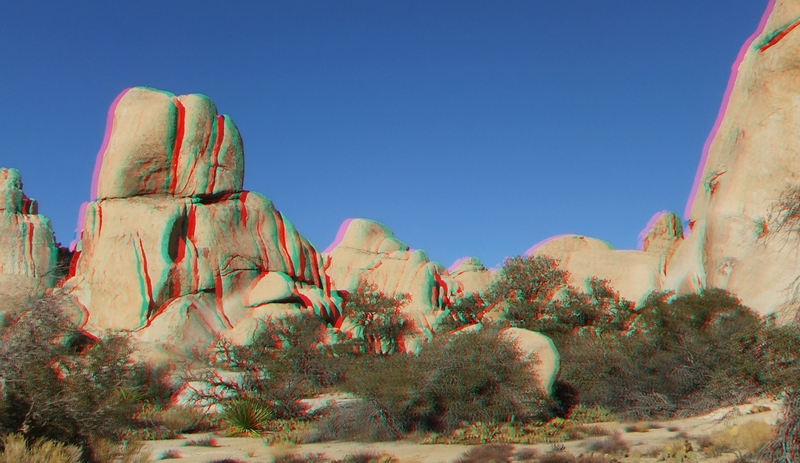 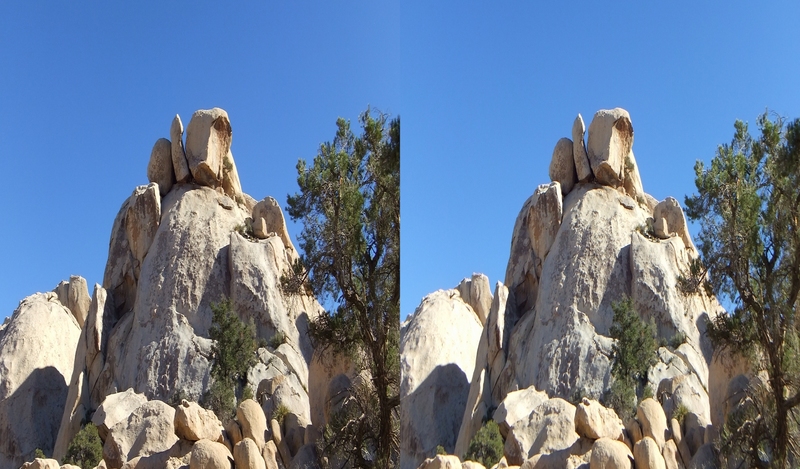 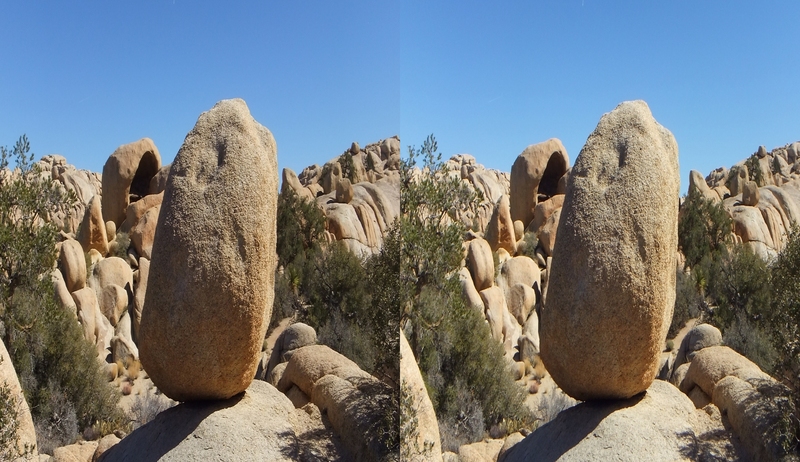 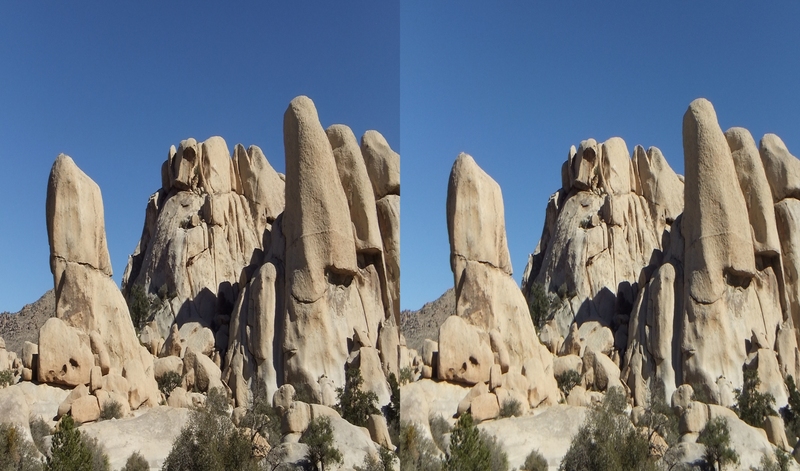 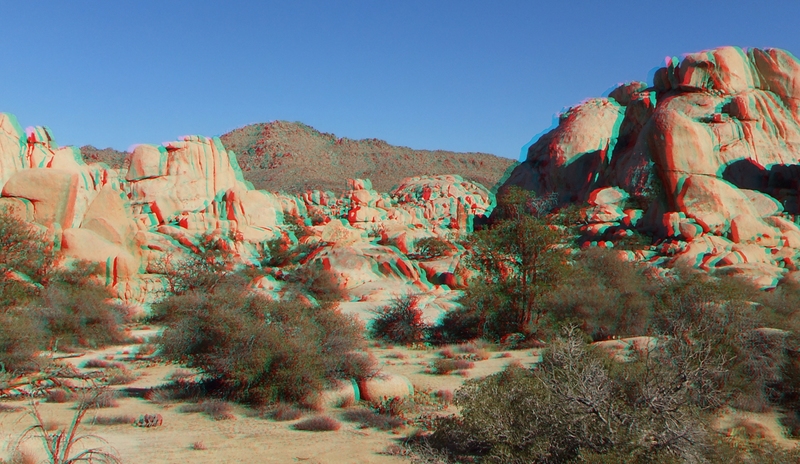 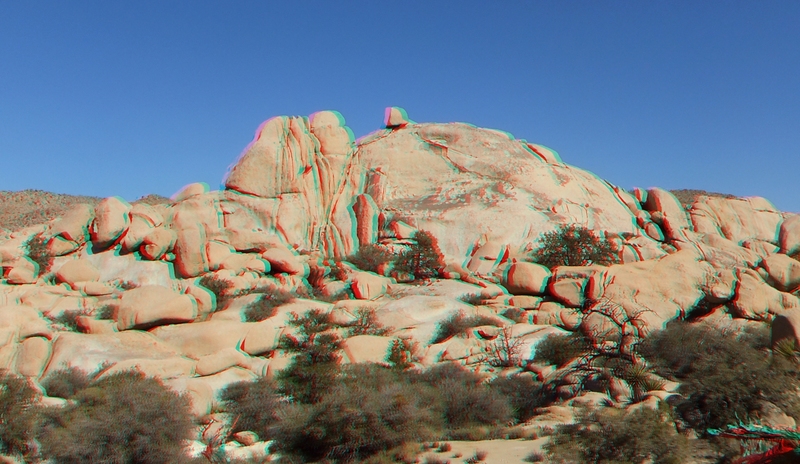 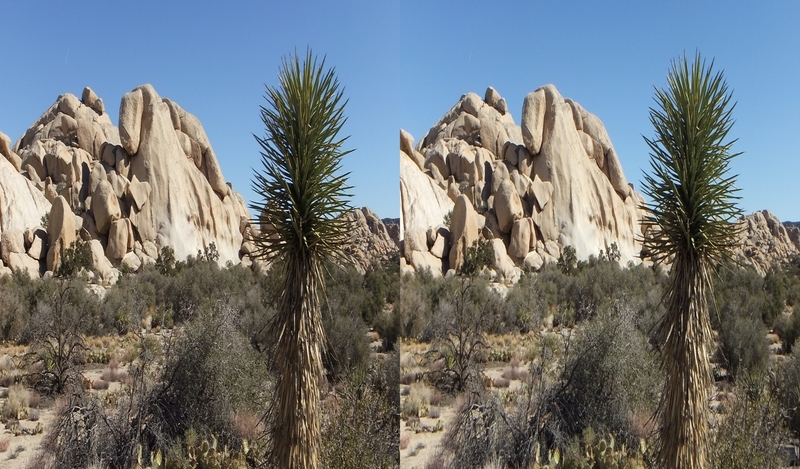 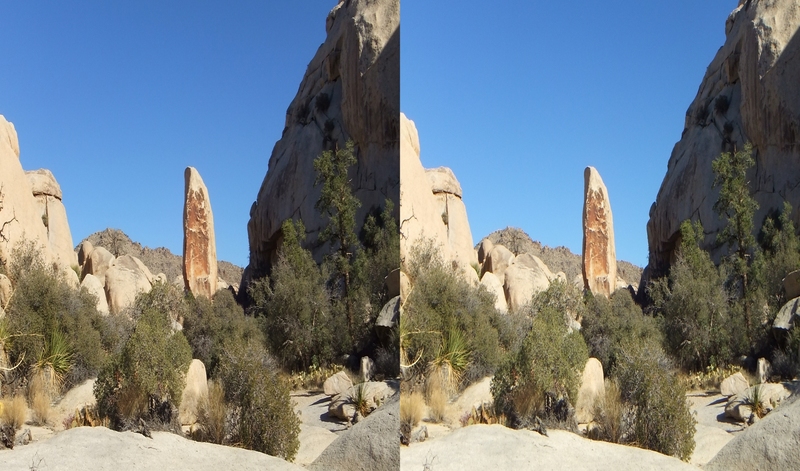 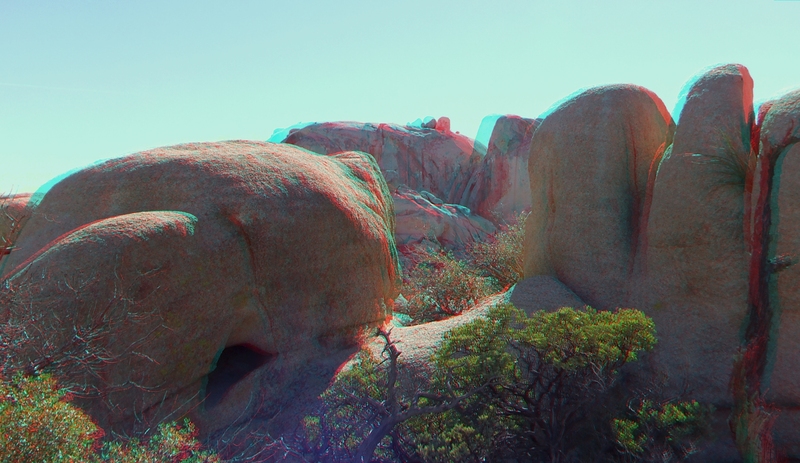 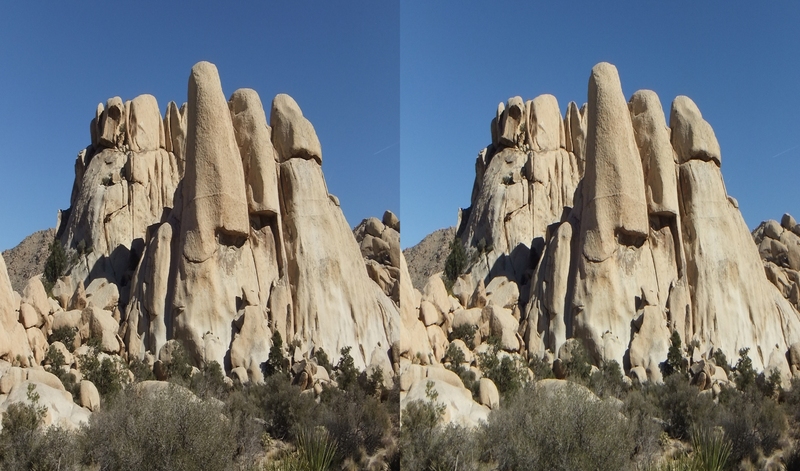 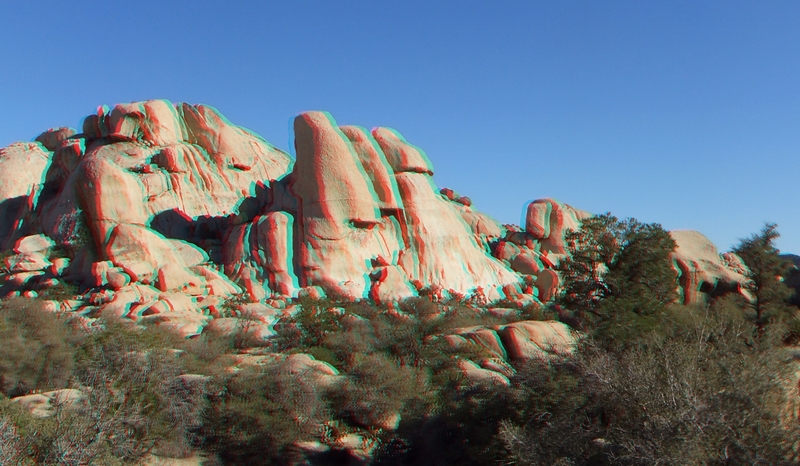 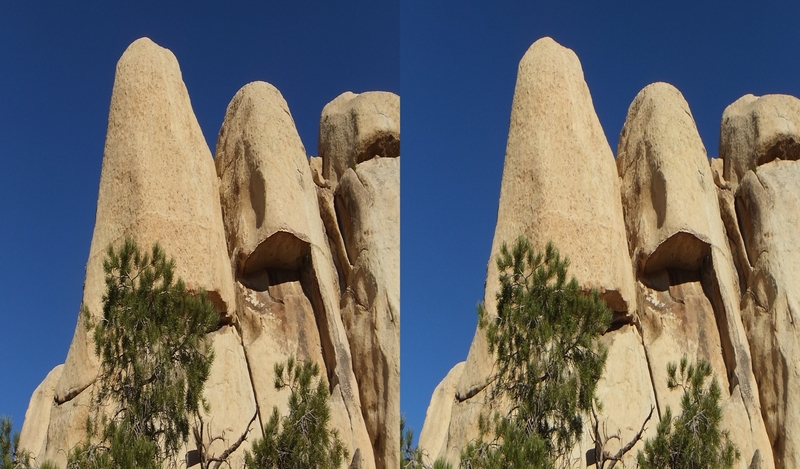 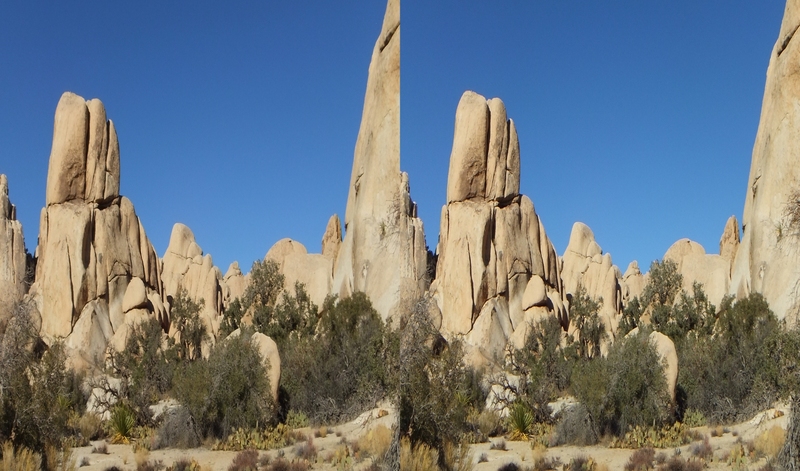 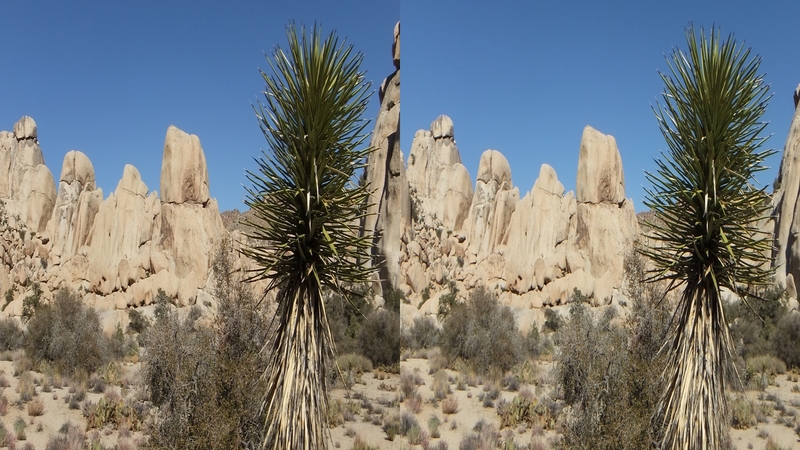 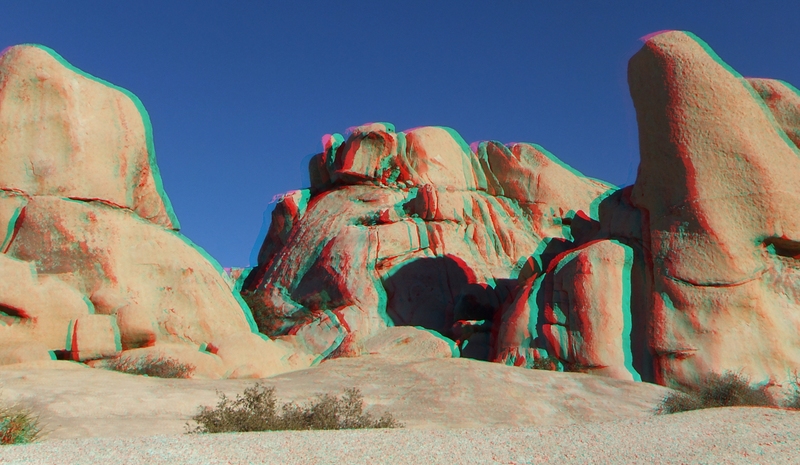 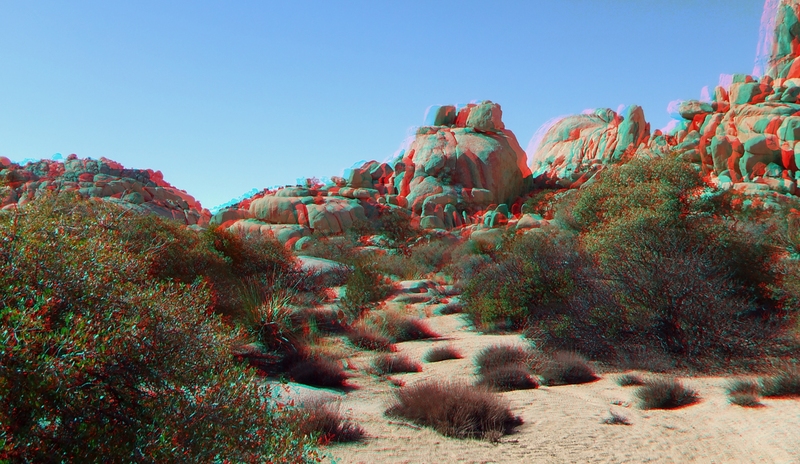 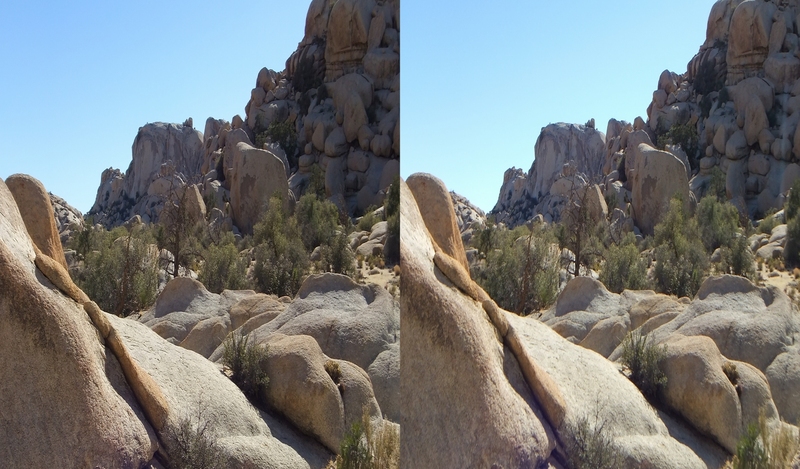 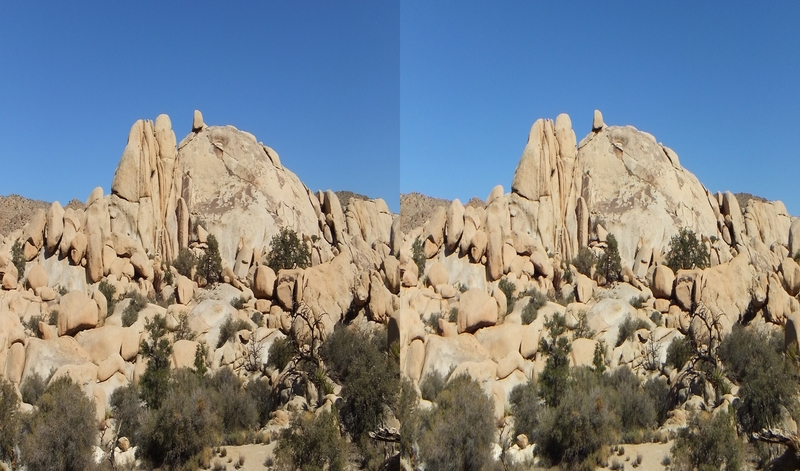 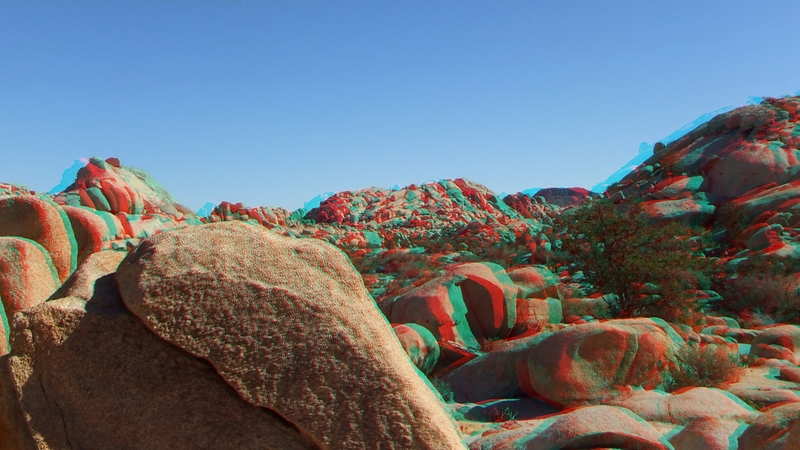 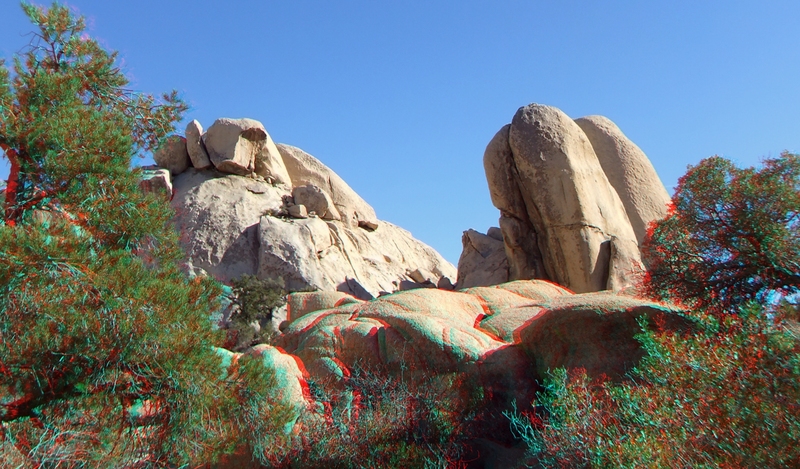 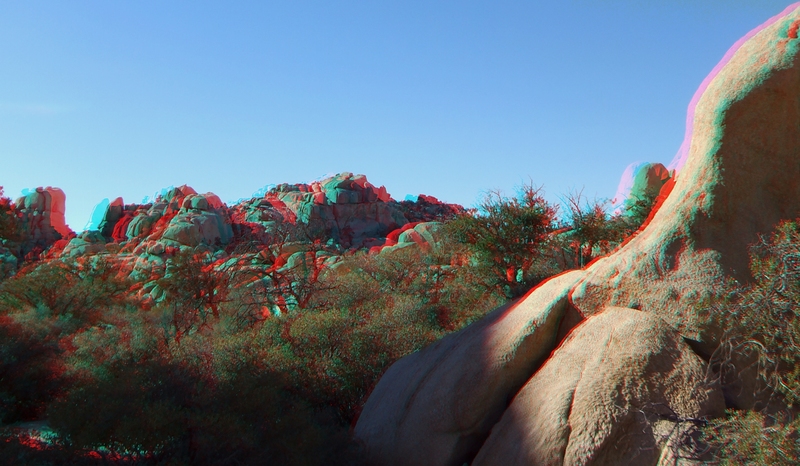 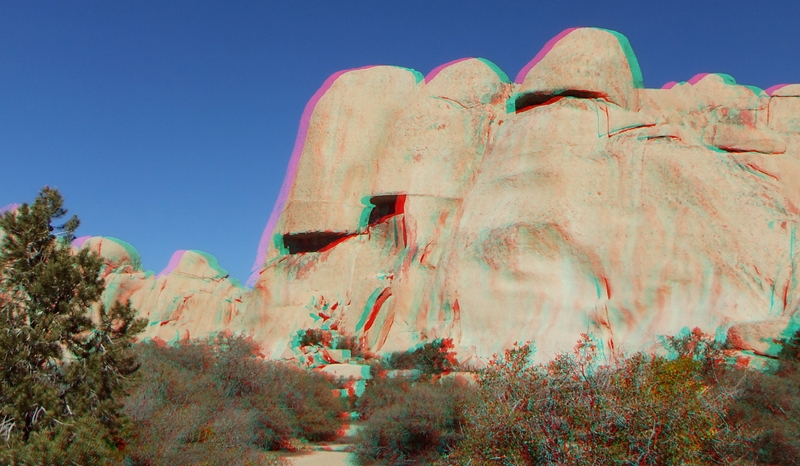 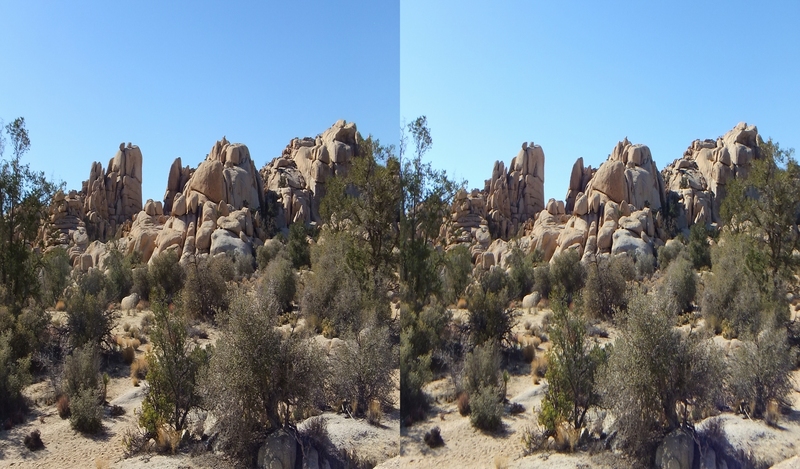 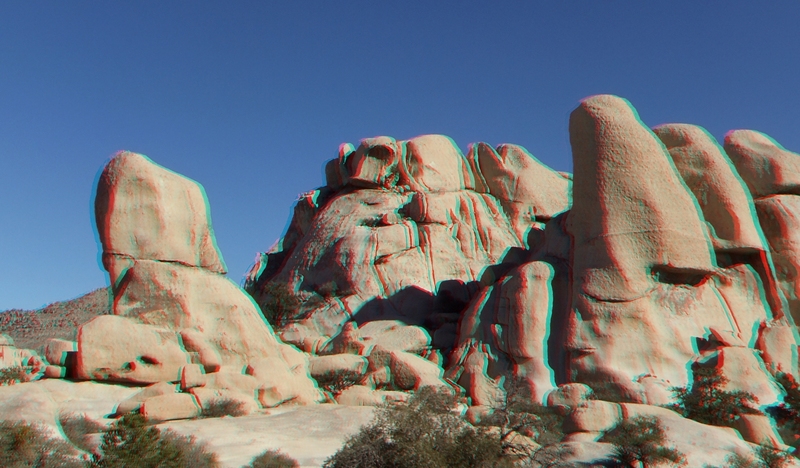 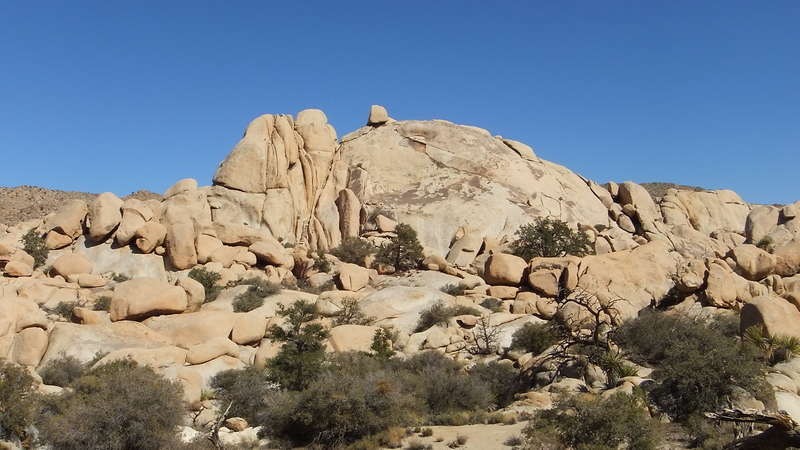 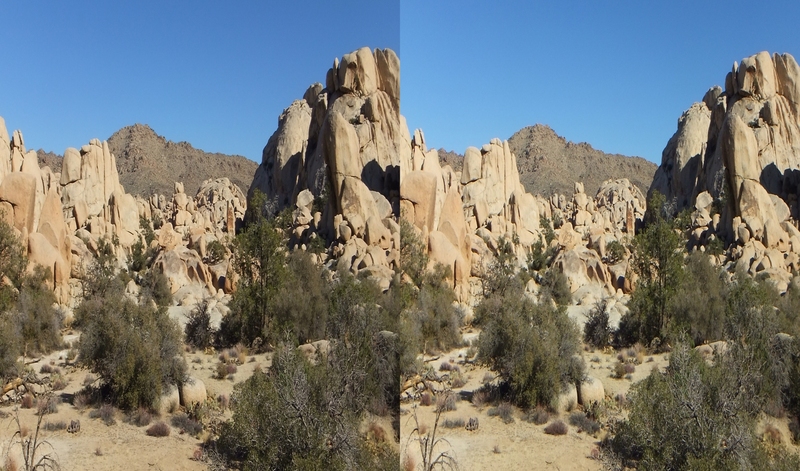 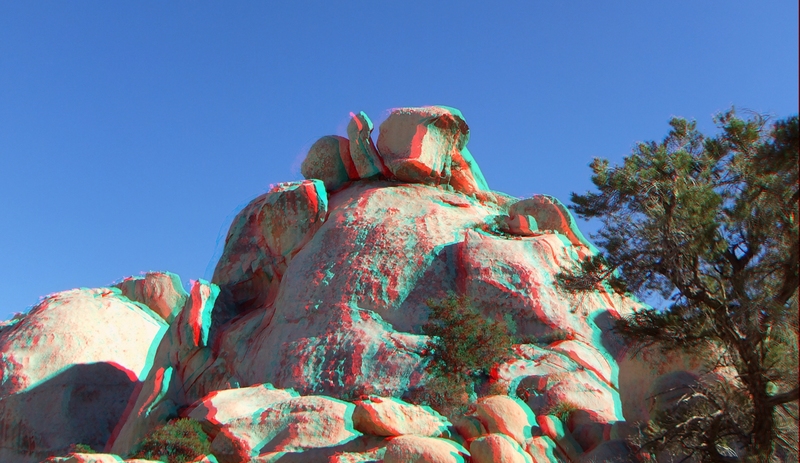 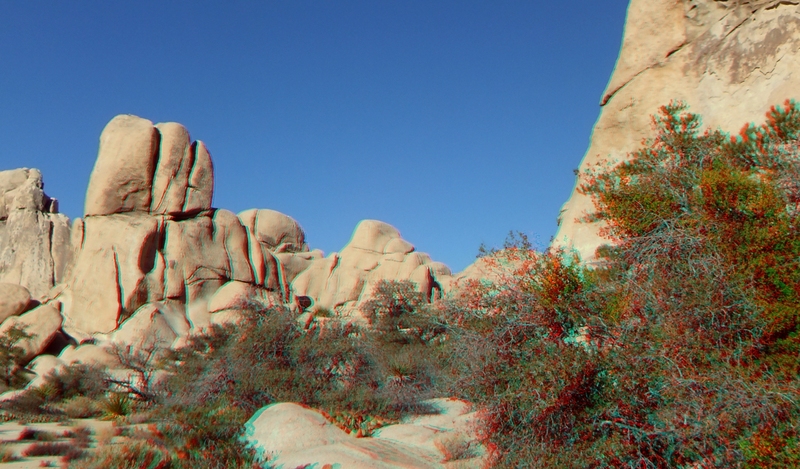 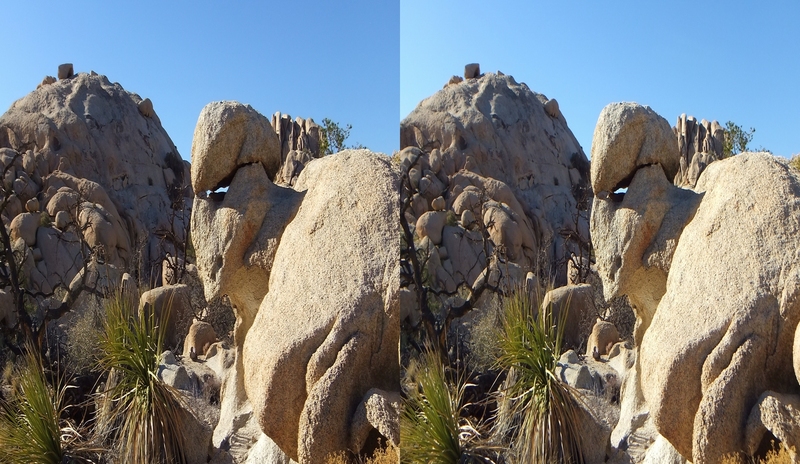 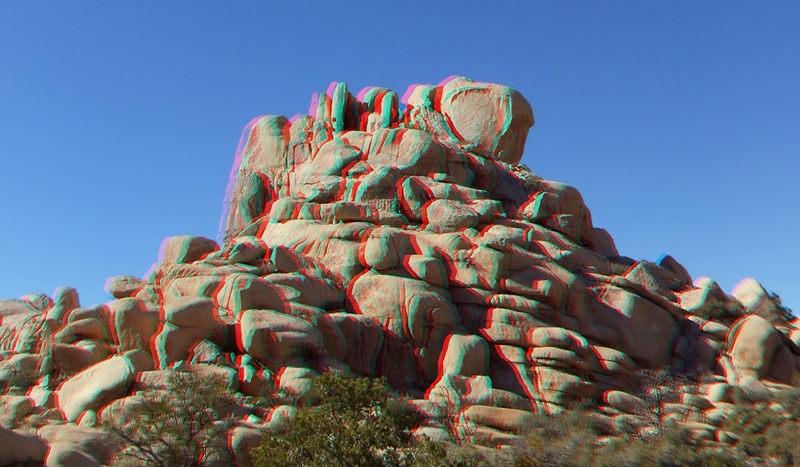 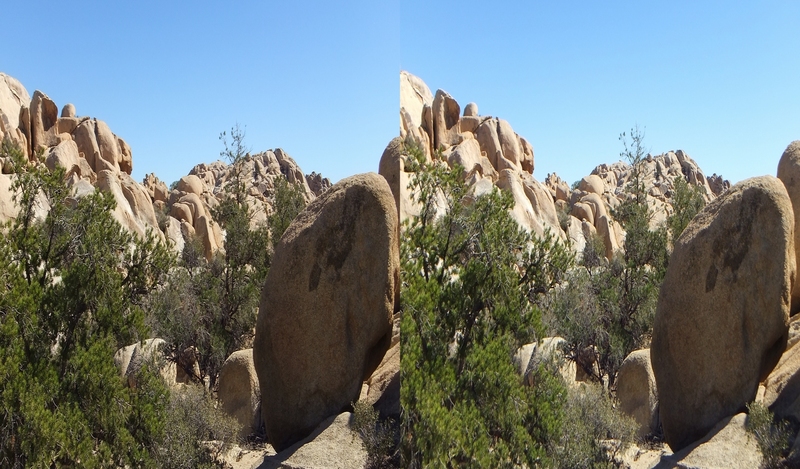 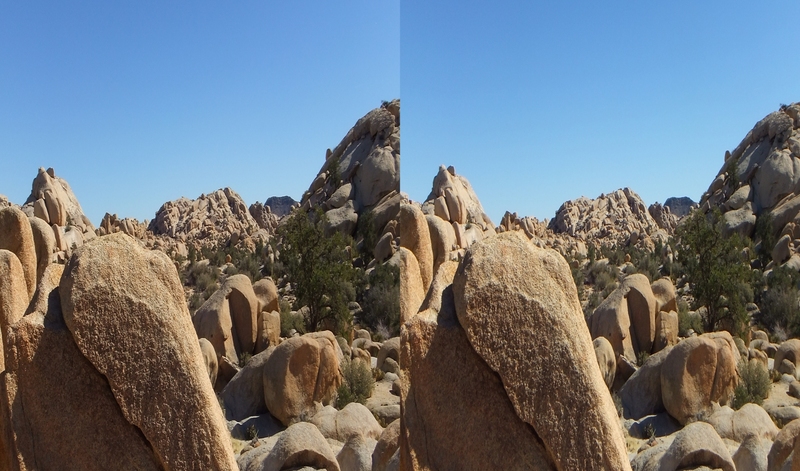 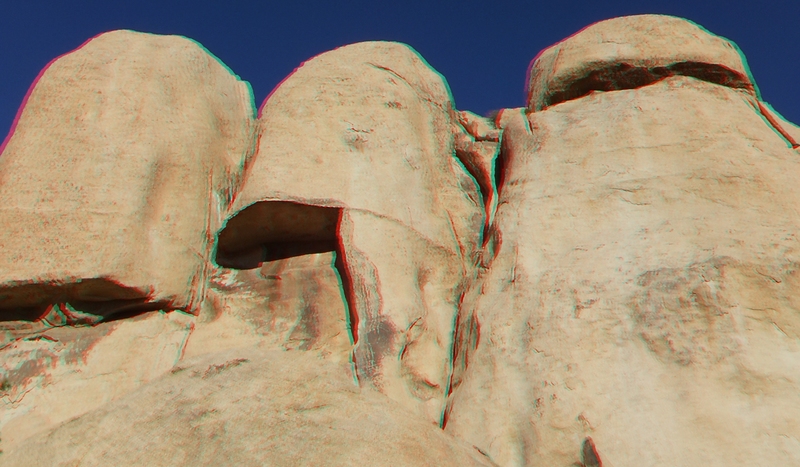 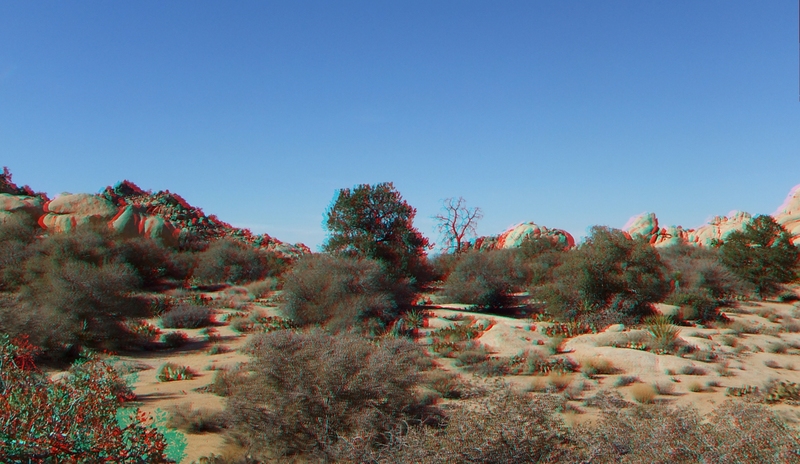 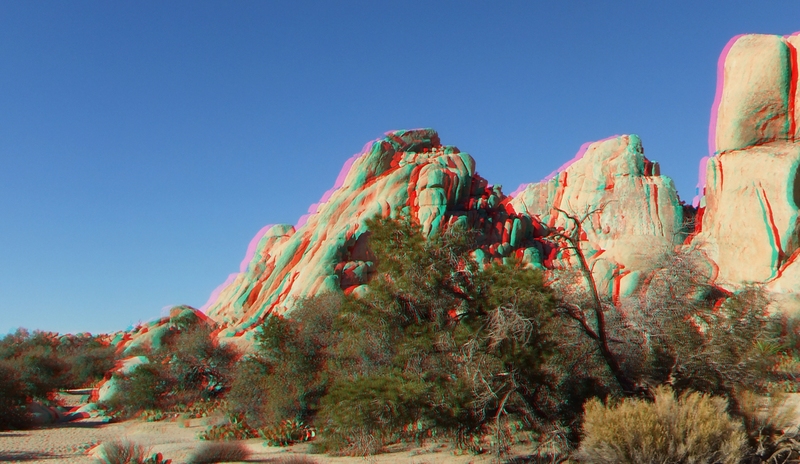 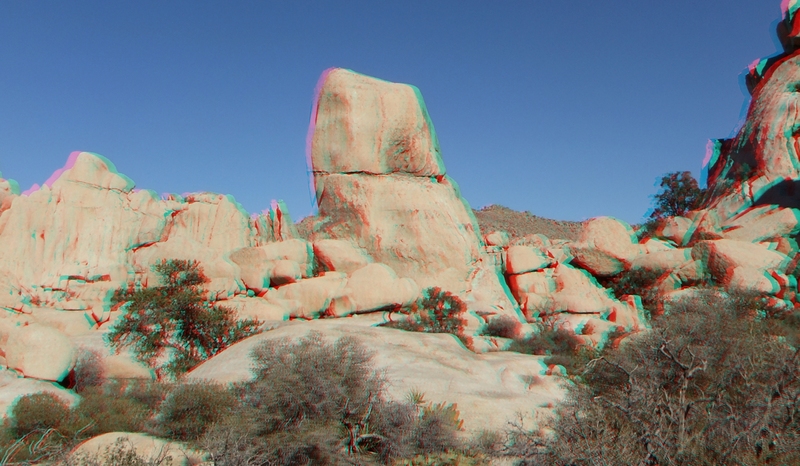 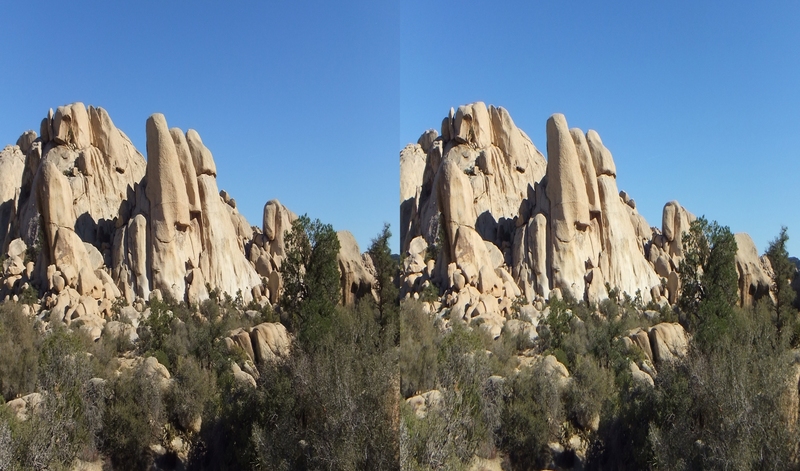 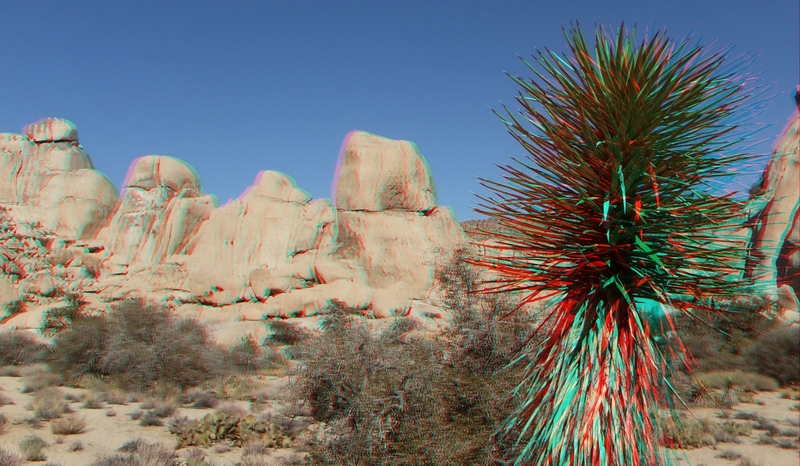 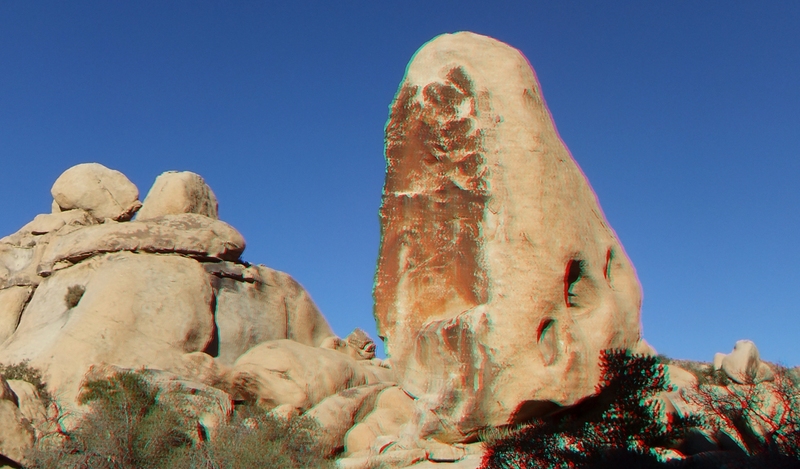 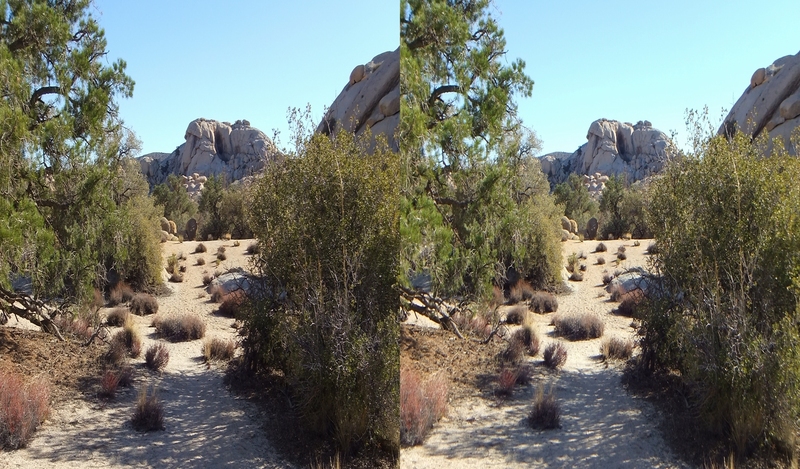 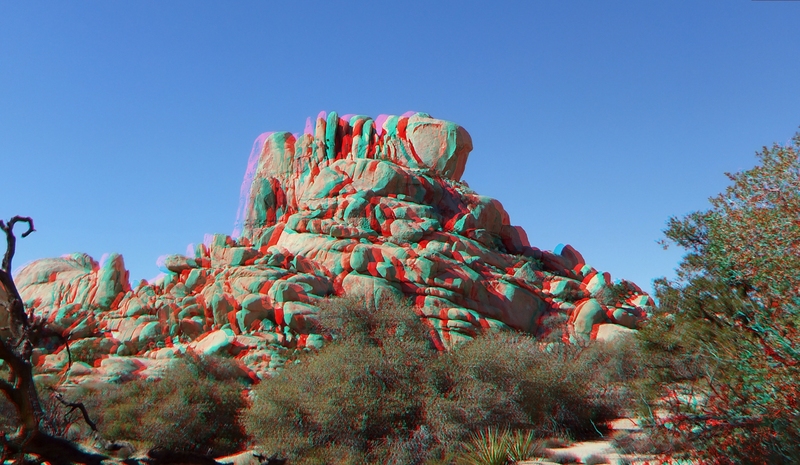 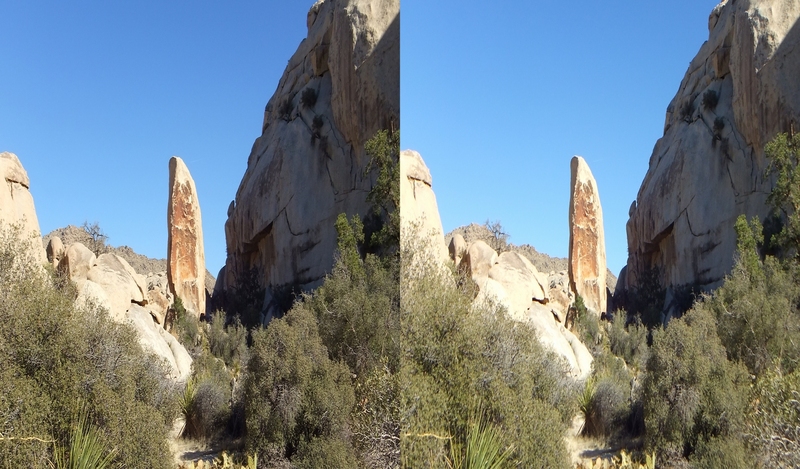 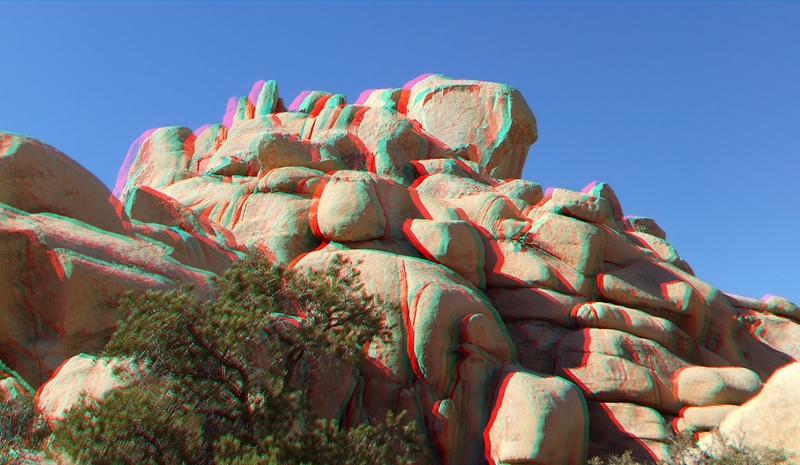 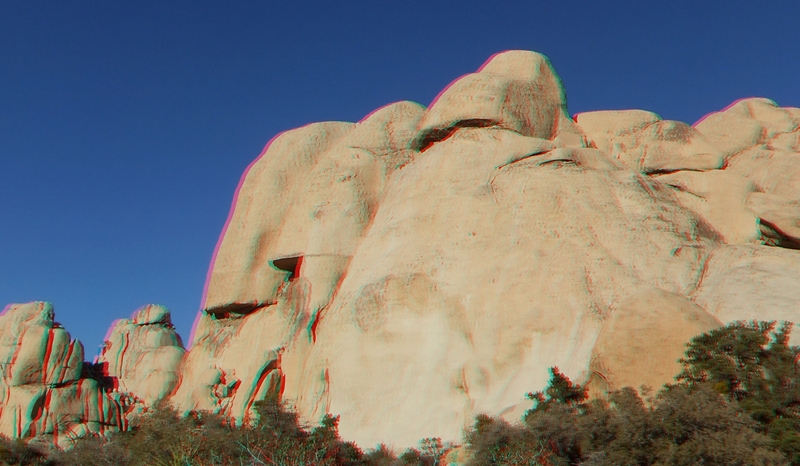 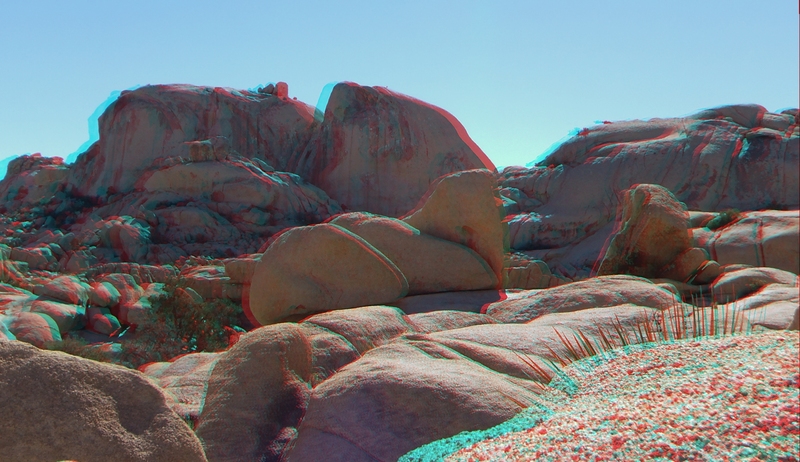 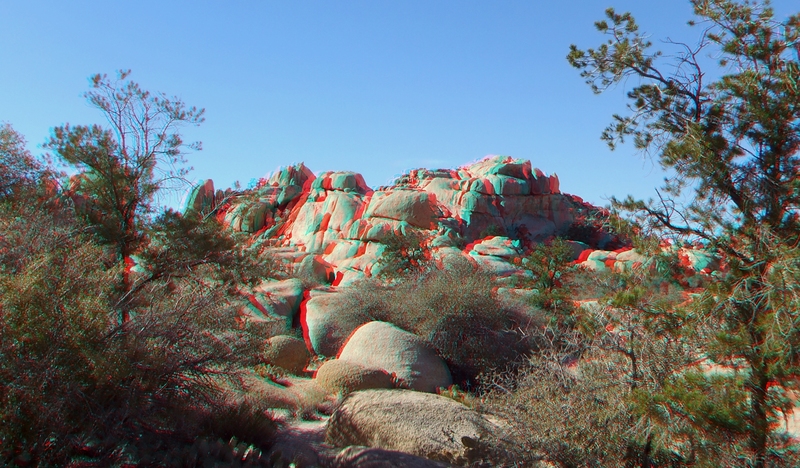 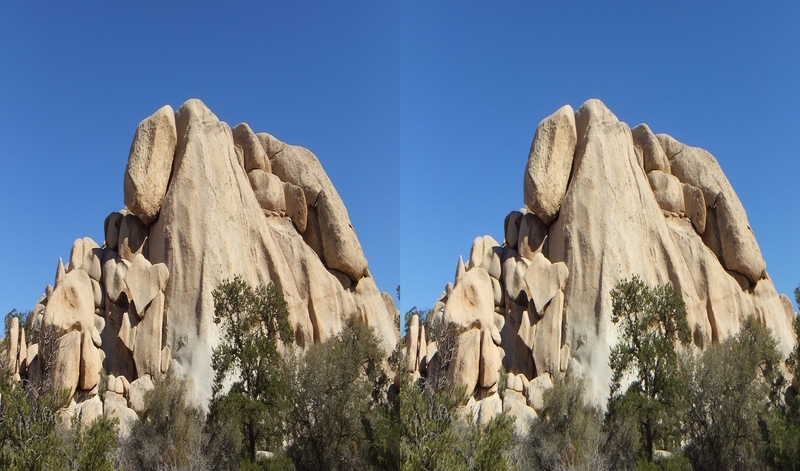 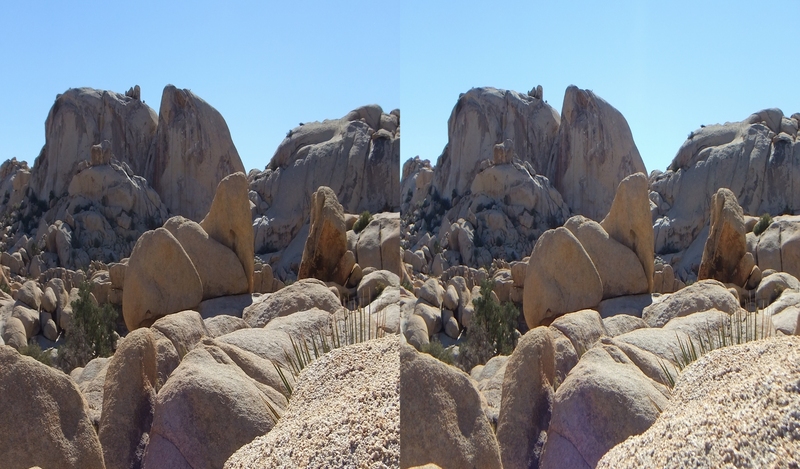 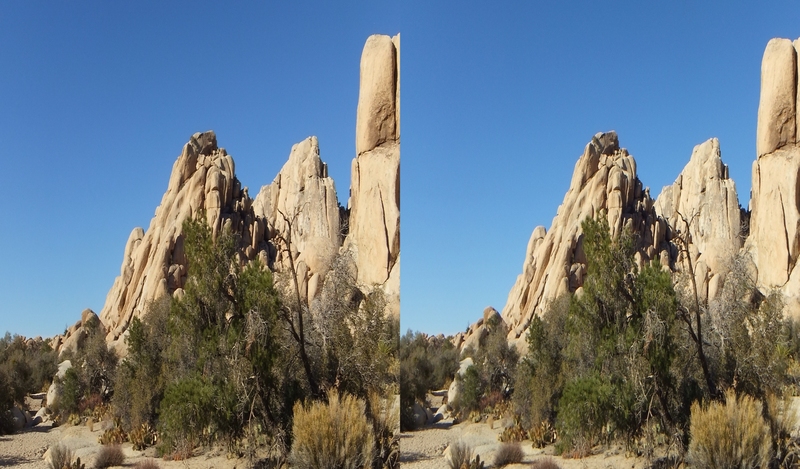 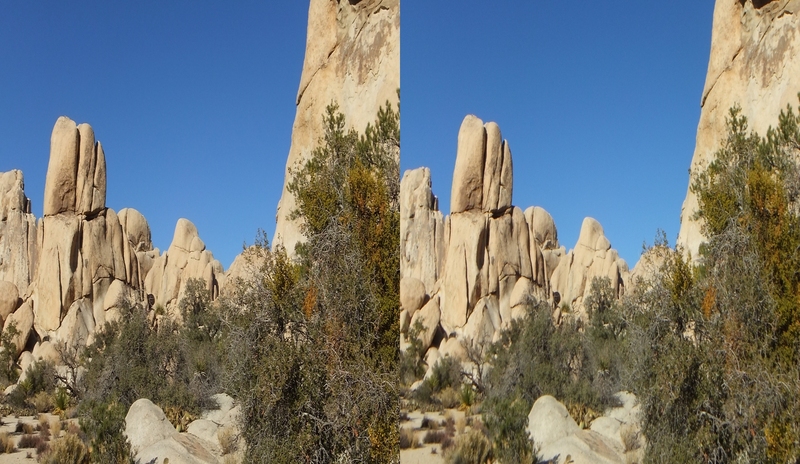 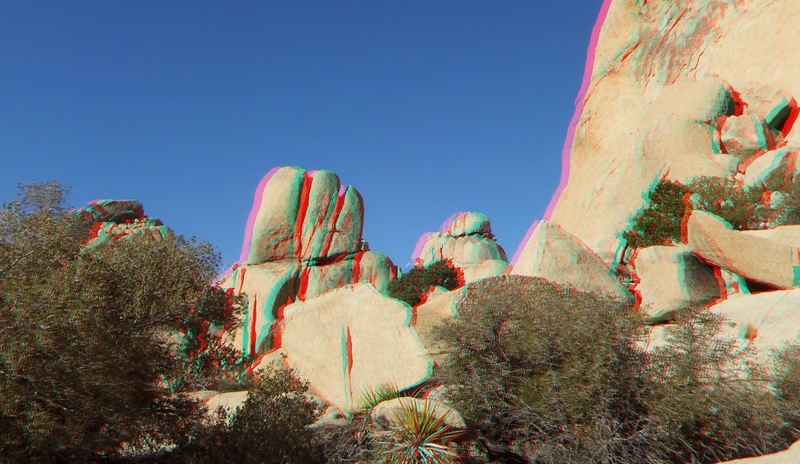 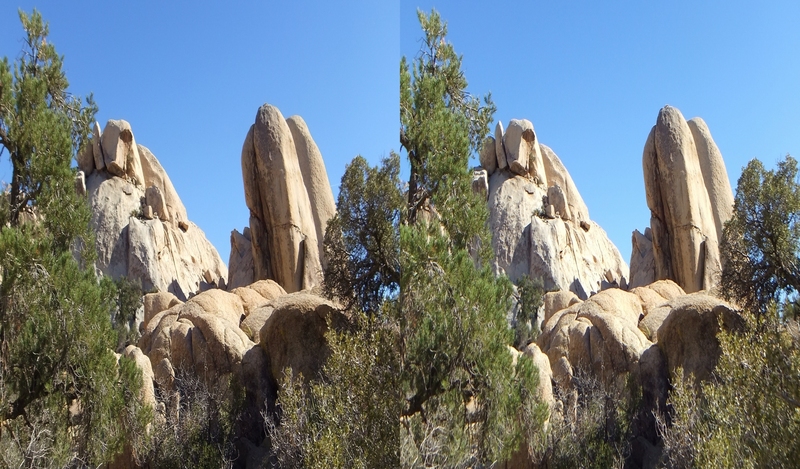 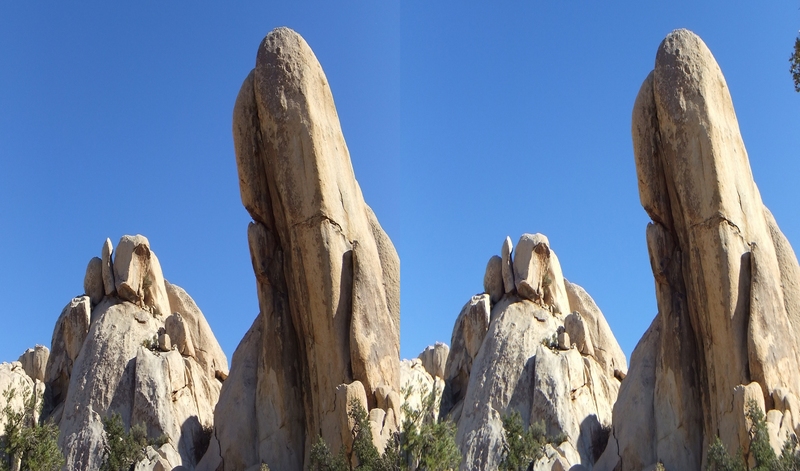 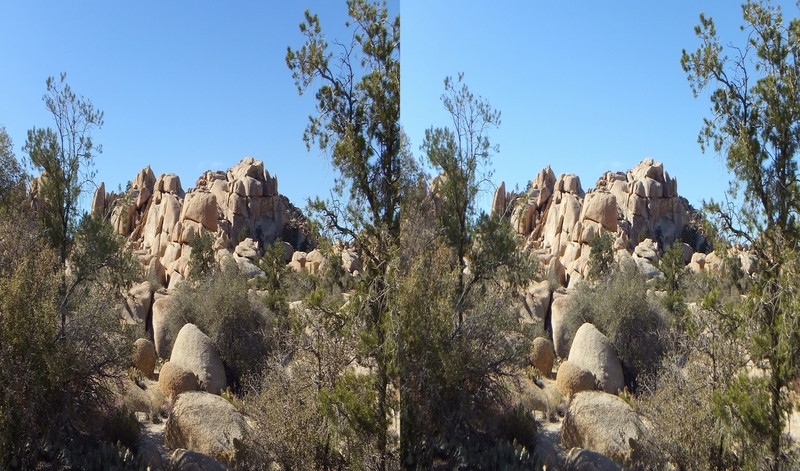 I appreciate your visiting Joshuatree3D and hope you enjoyed viewing the photographs as much as I did taking them. 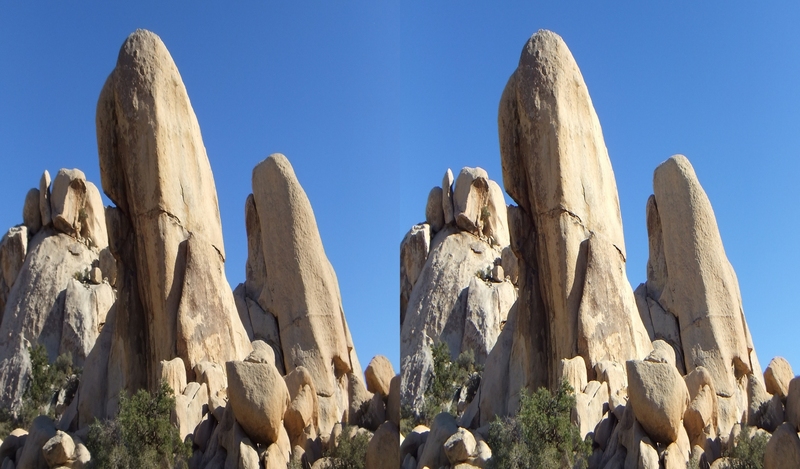 The Wonderland Valley is a special place that only one in a hundred visitors gets to see.